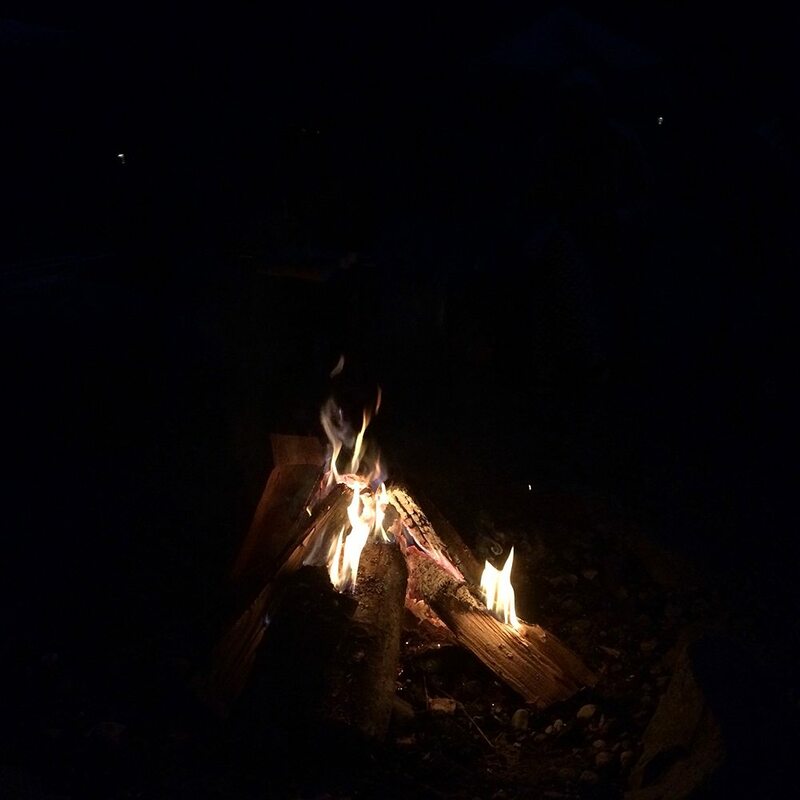 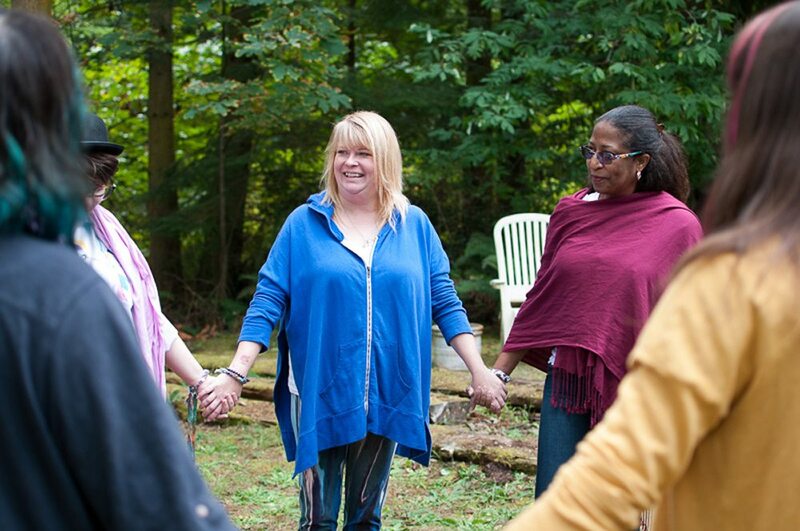 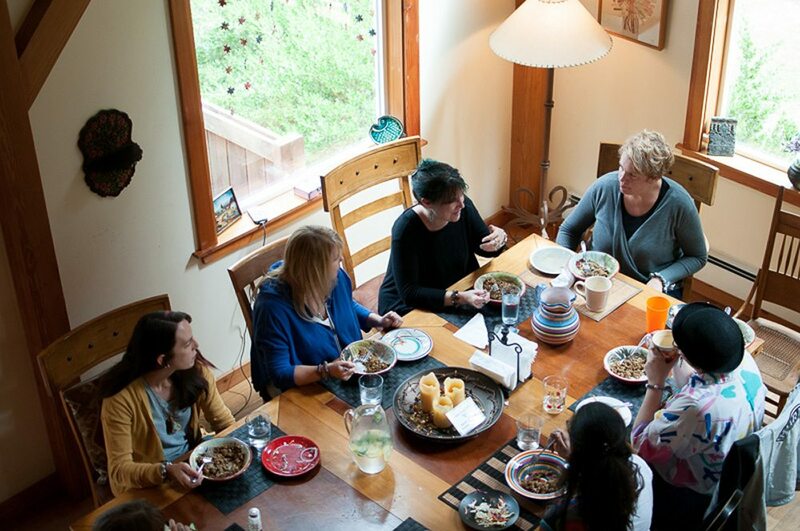 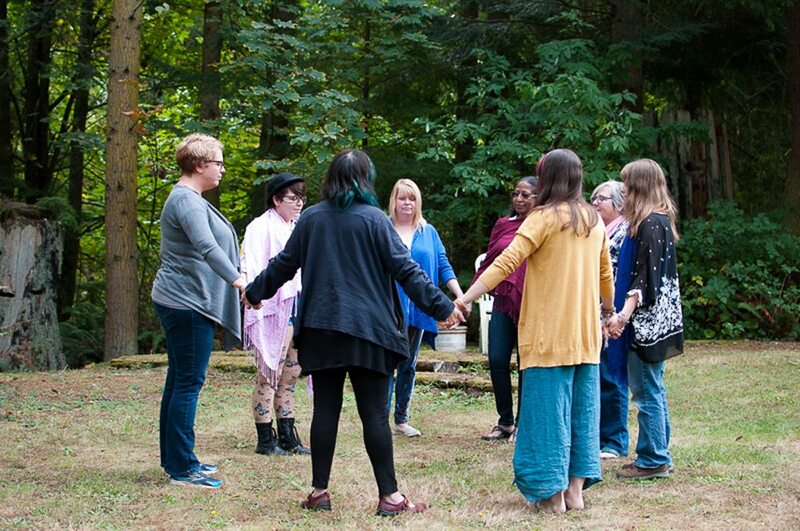 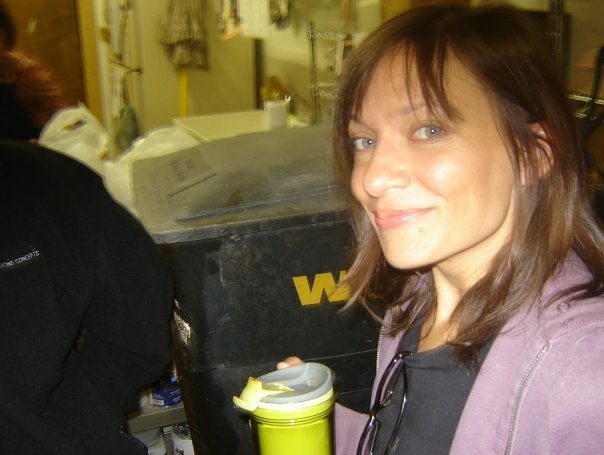 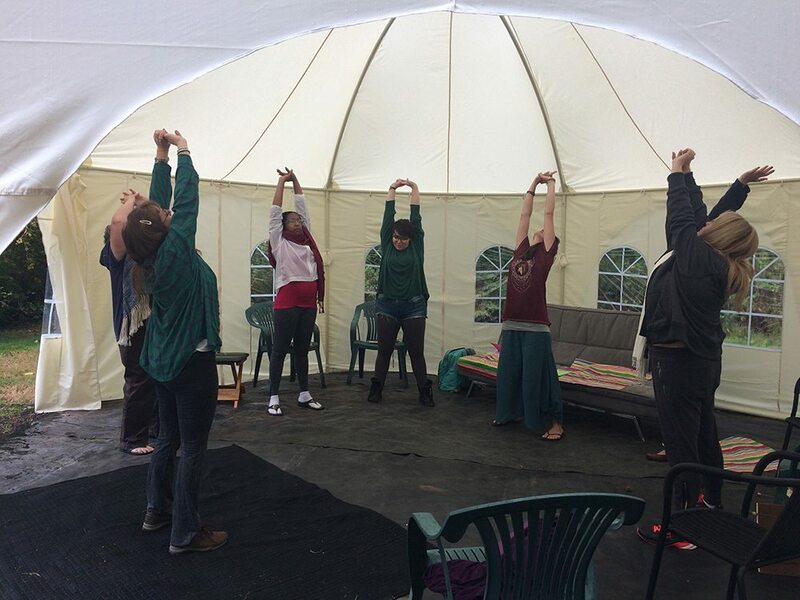 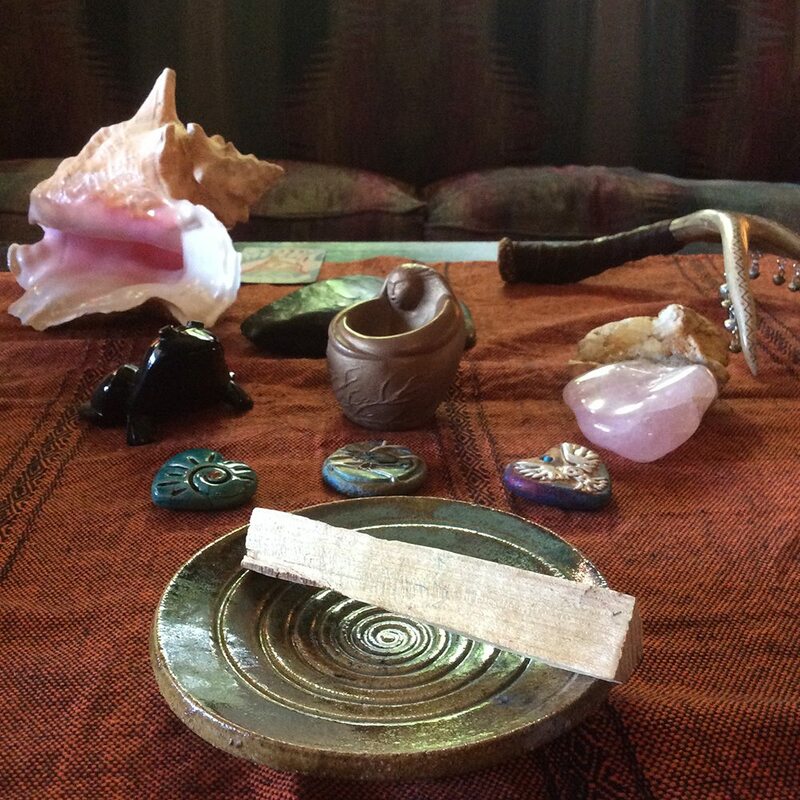 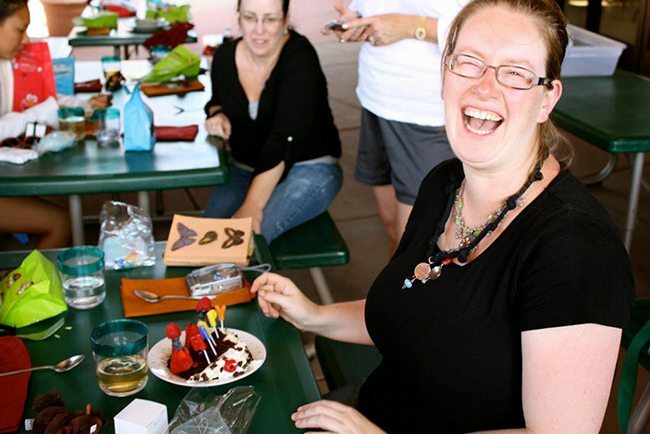 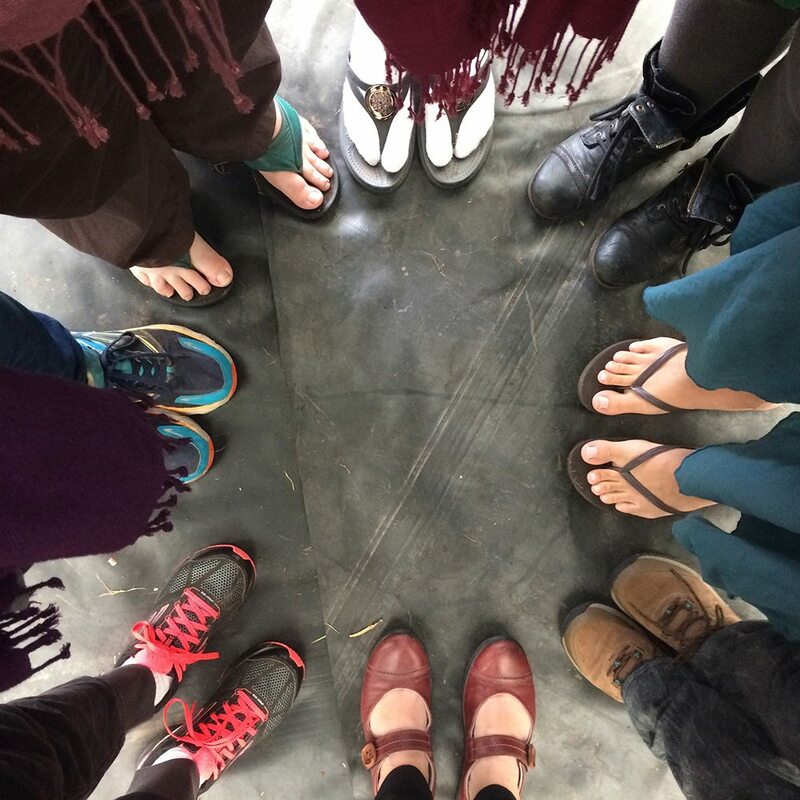 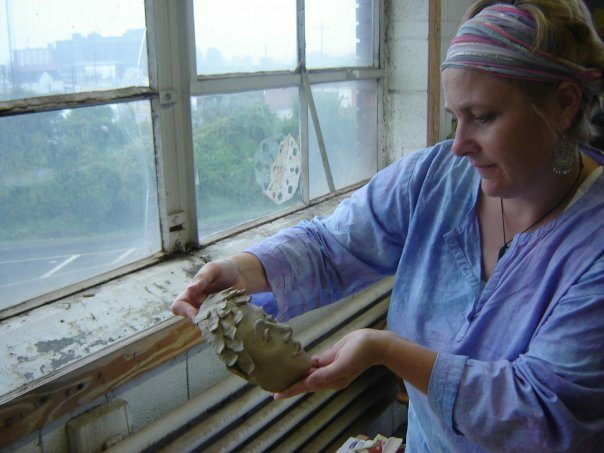 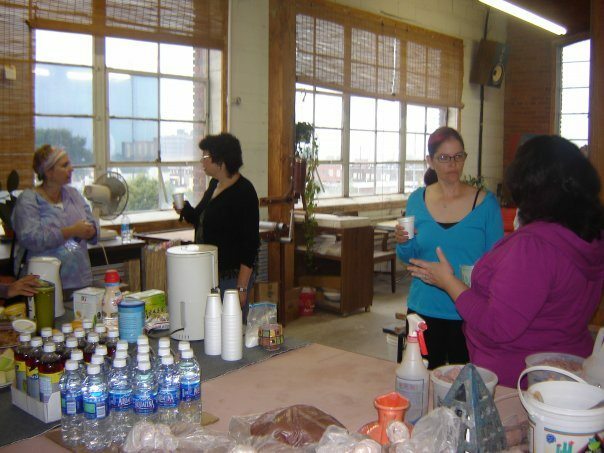 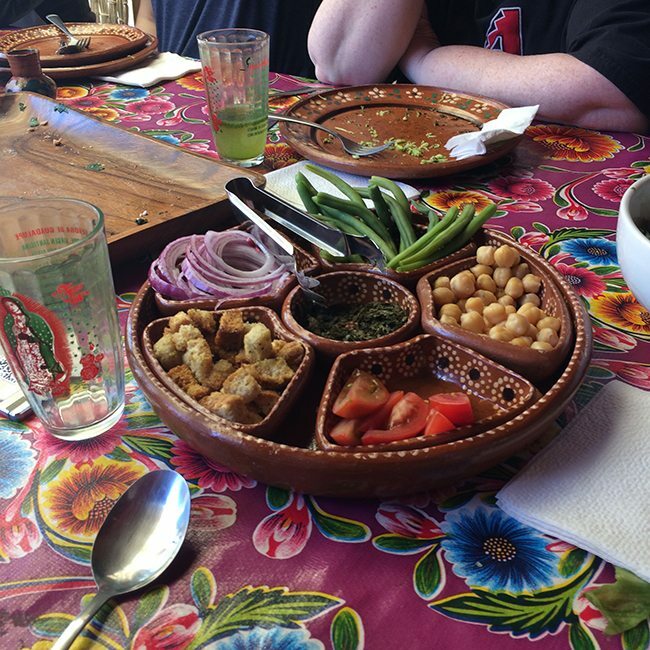 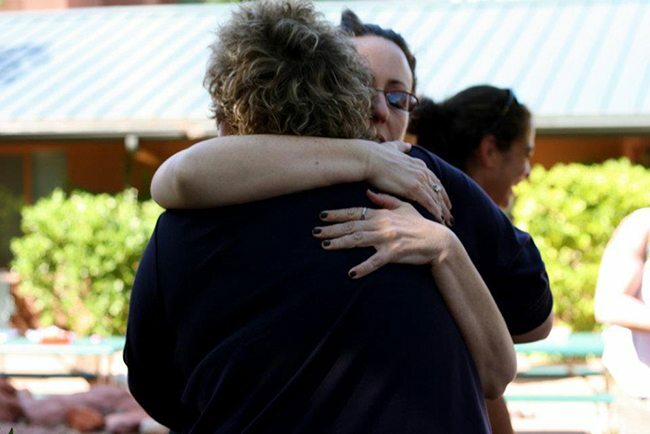 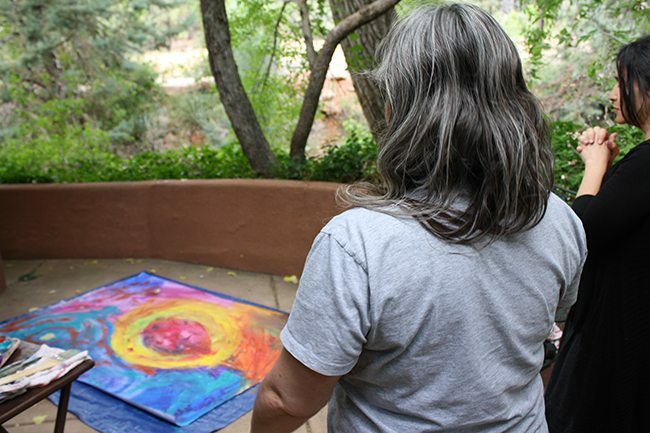 Here is a gallery of my past workshops, retreats, and immersions — CLICK HERE to see what’s coming up next. 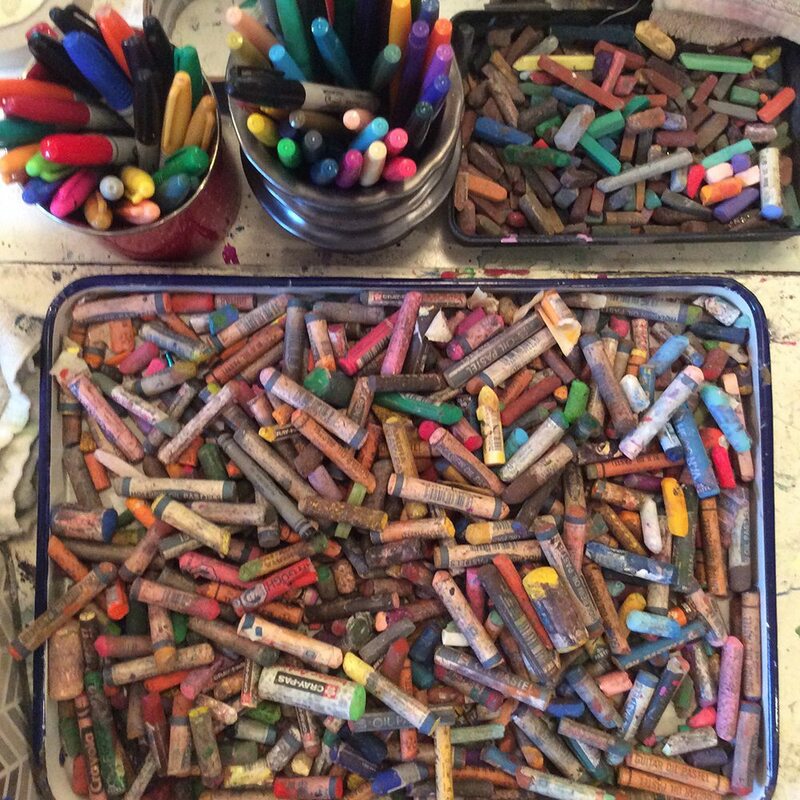 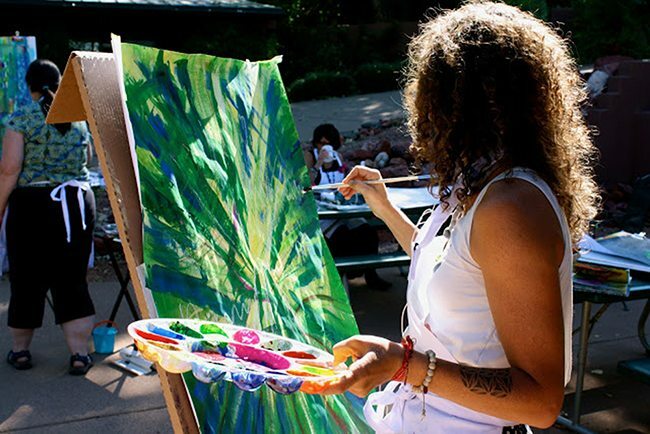 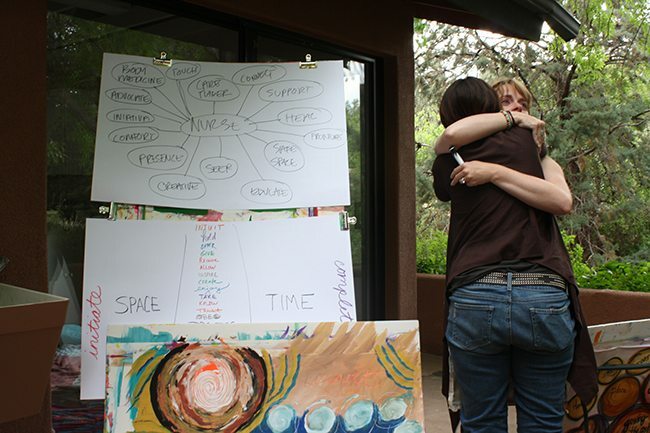 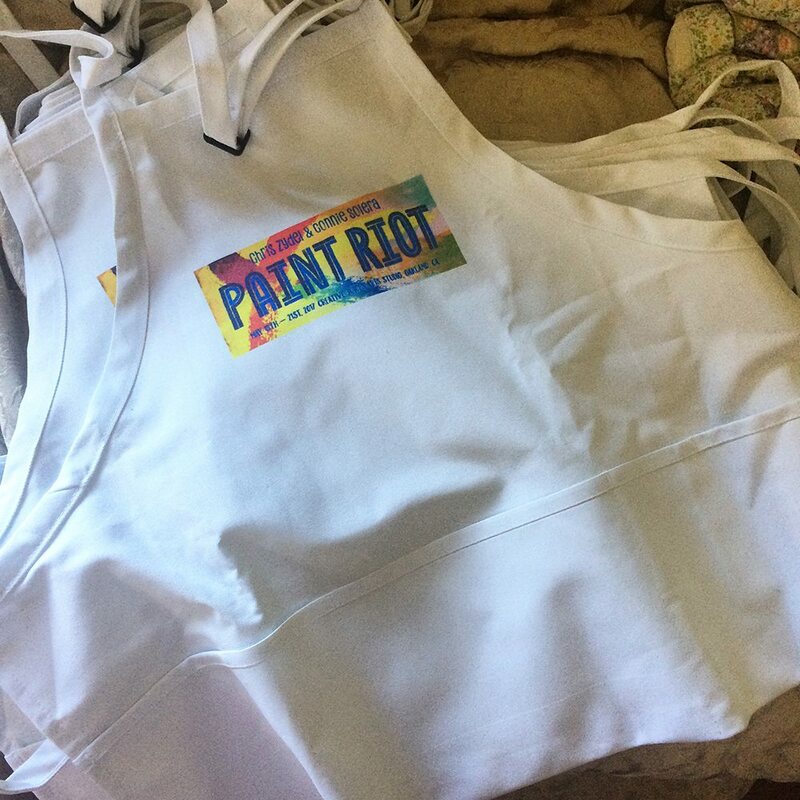 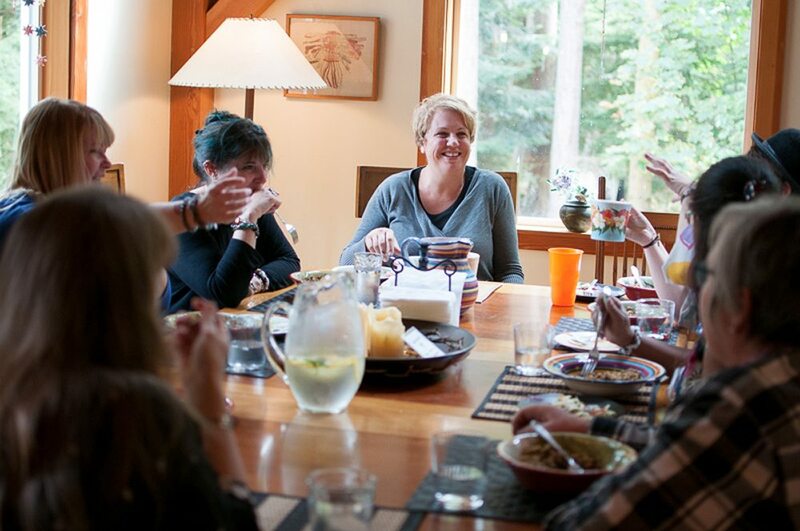 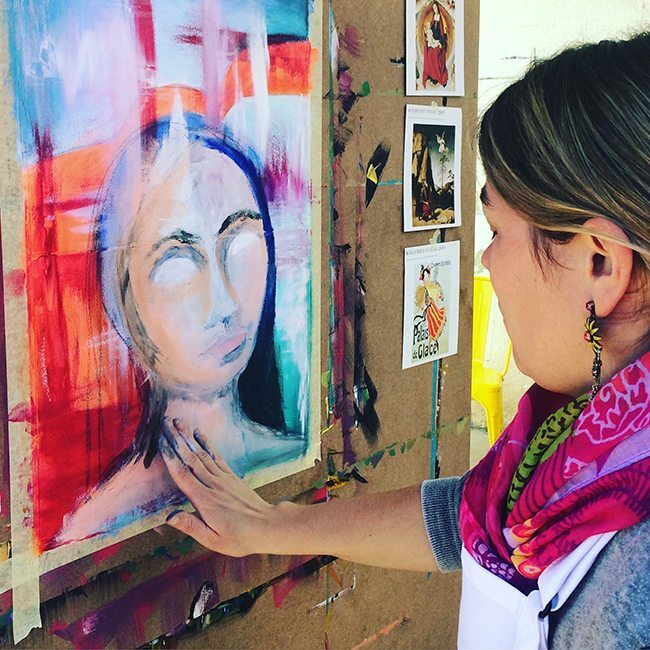 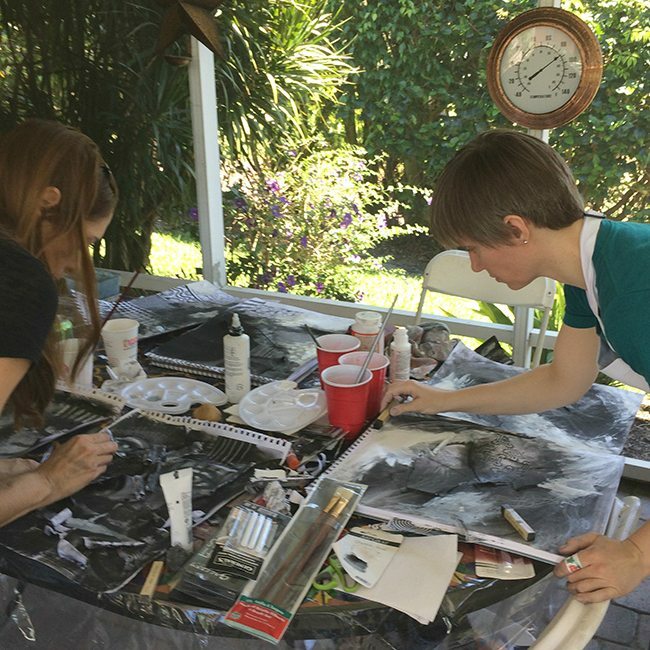 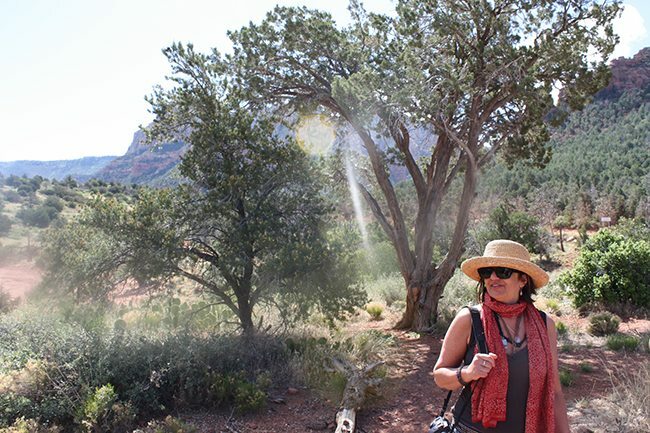 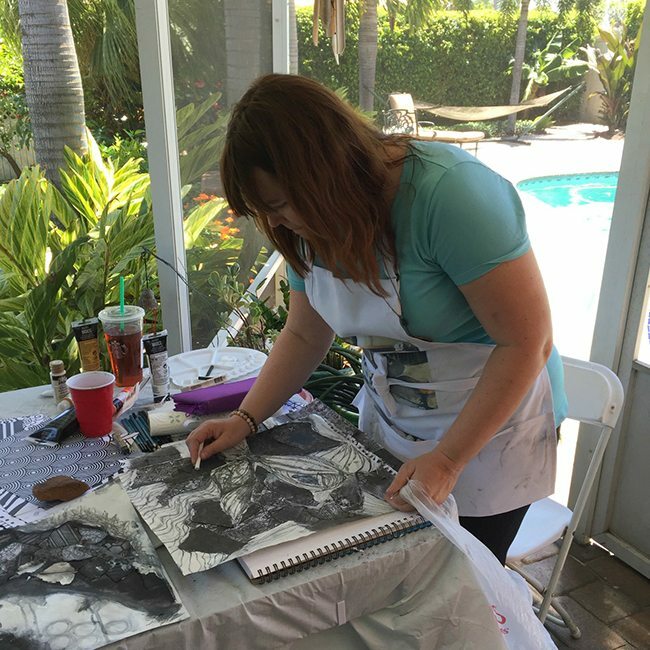 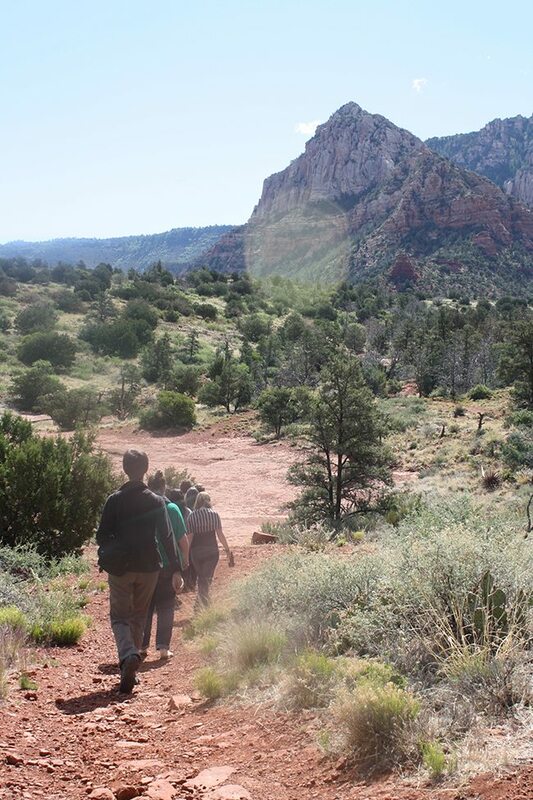 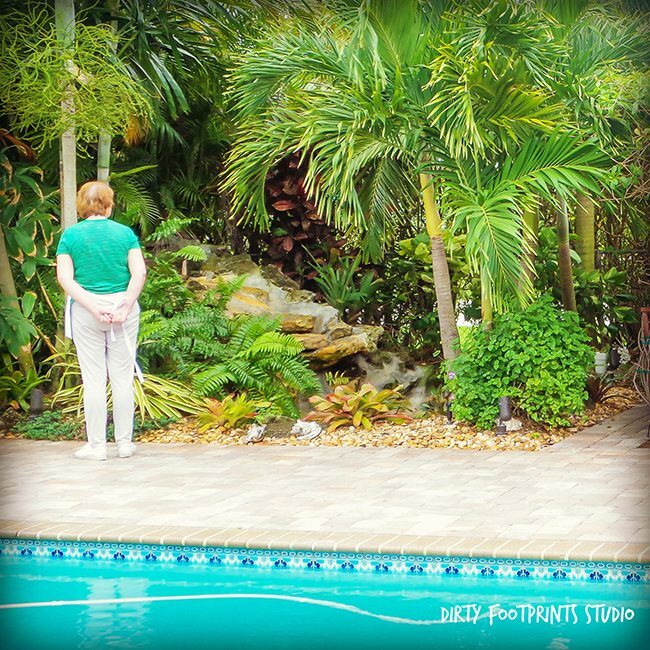 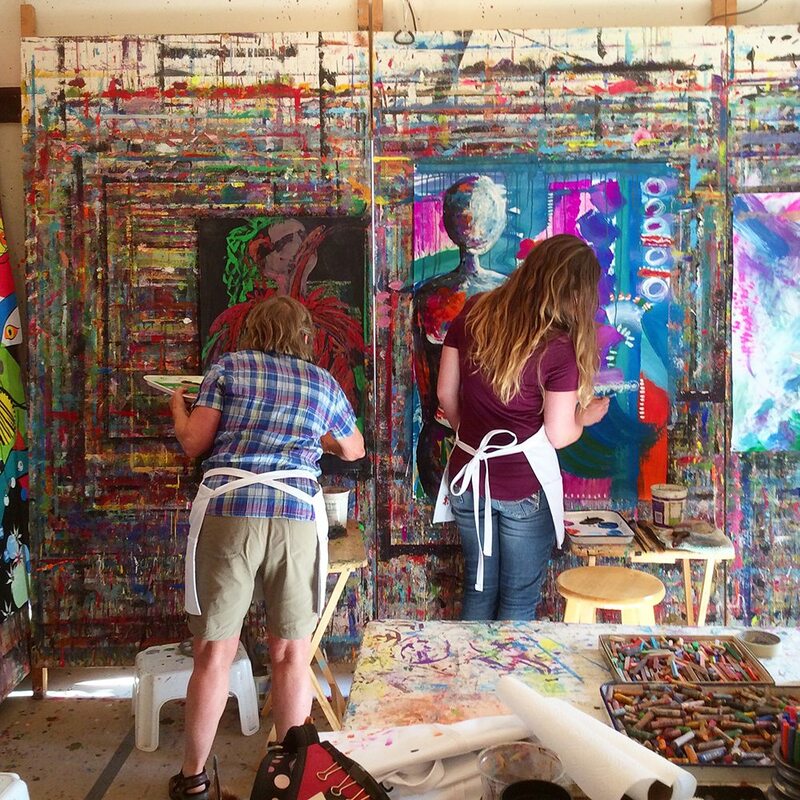 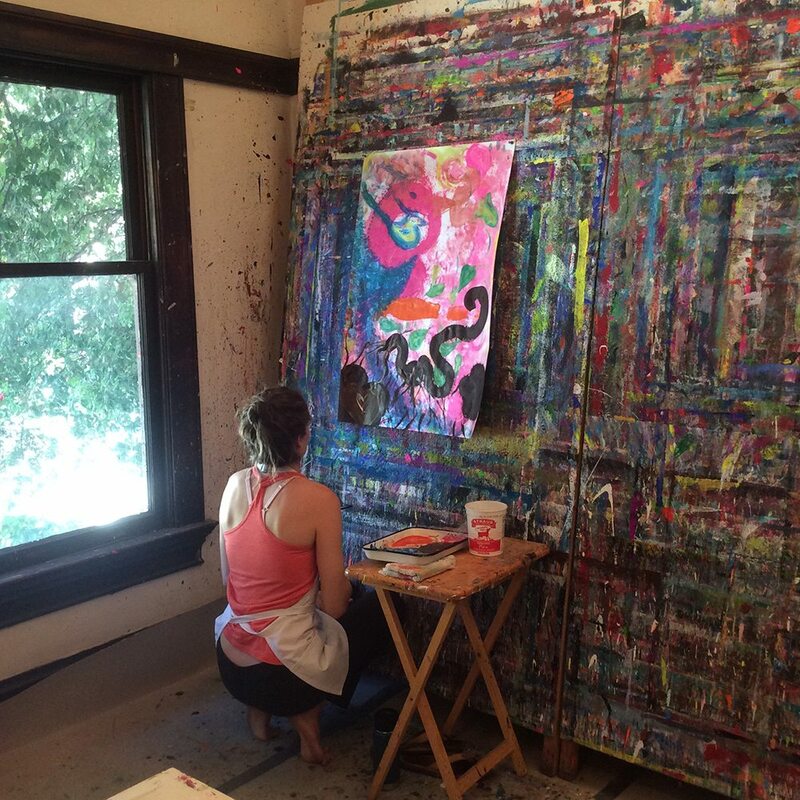 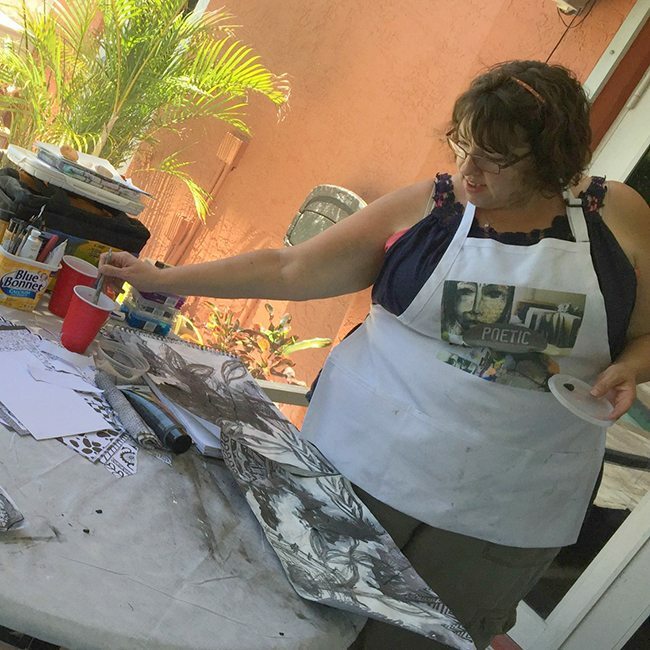 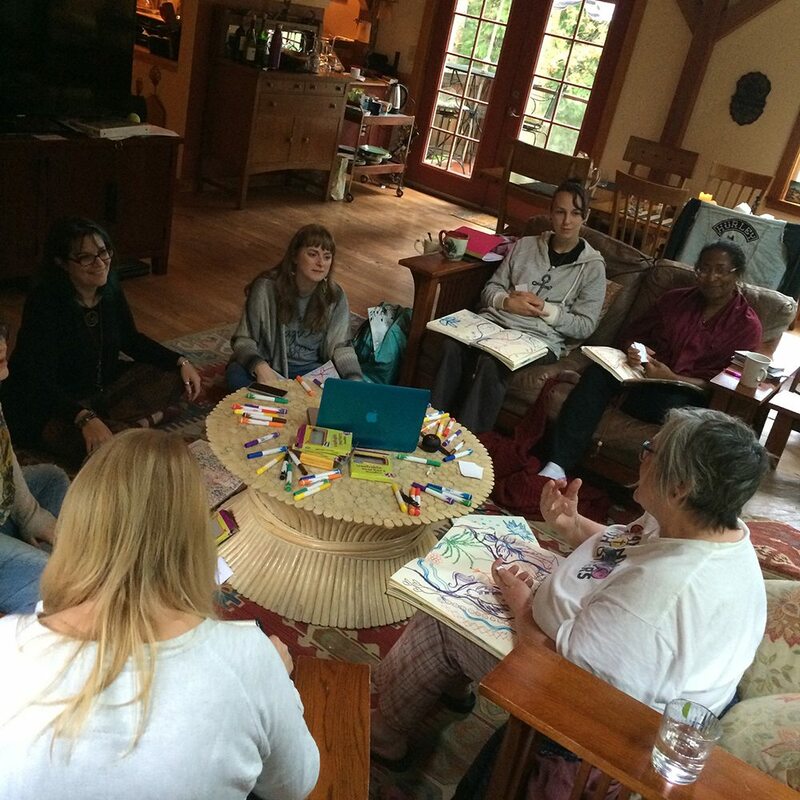 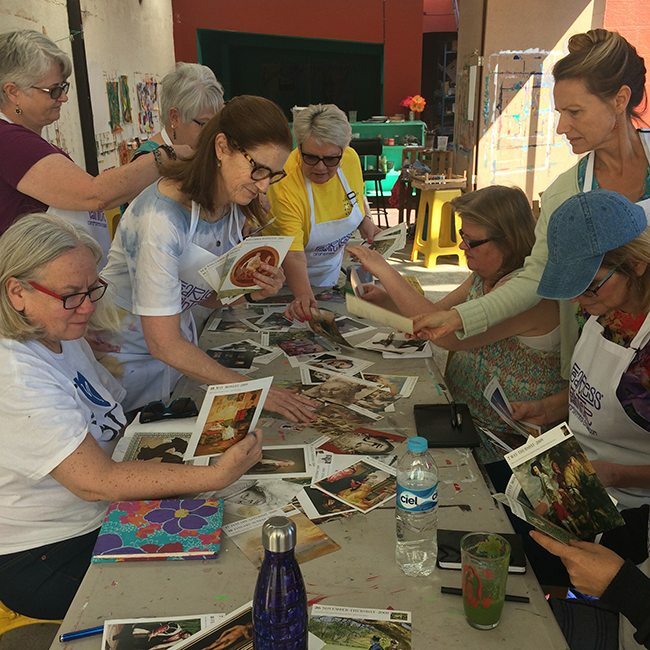 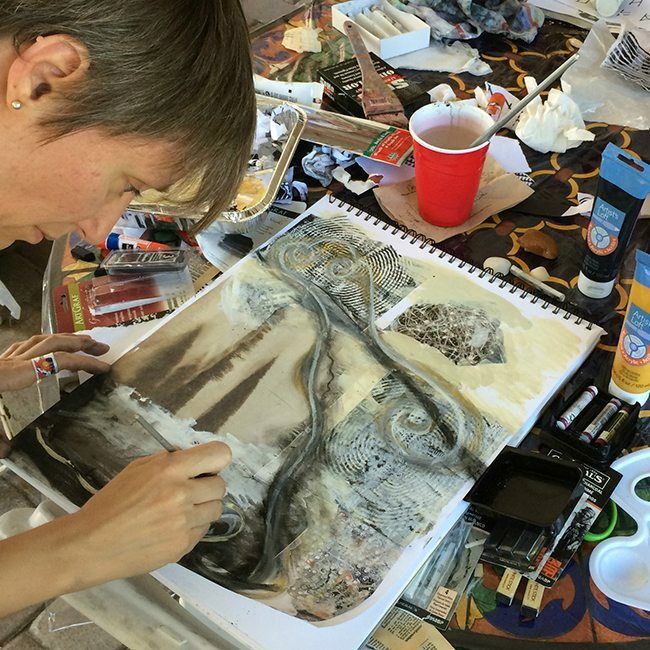 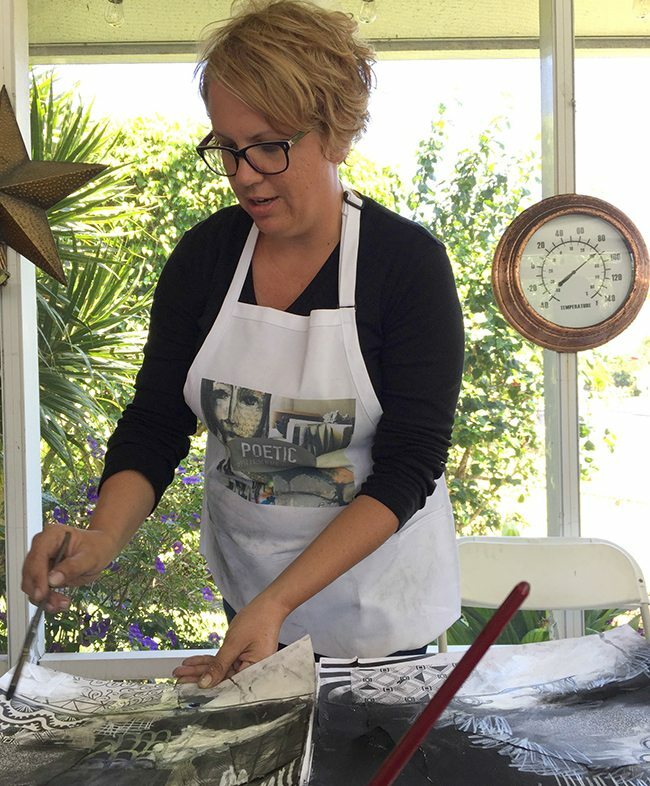 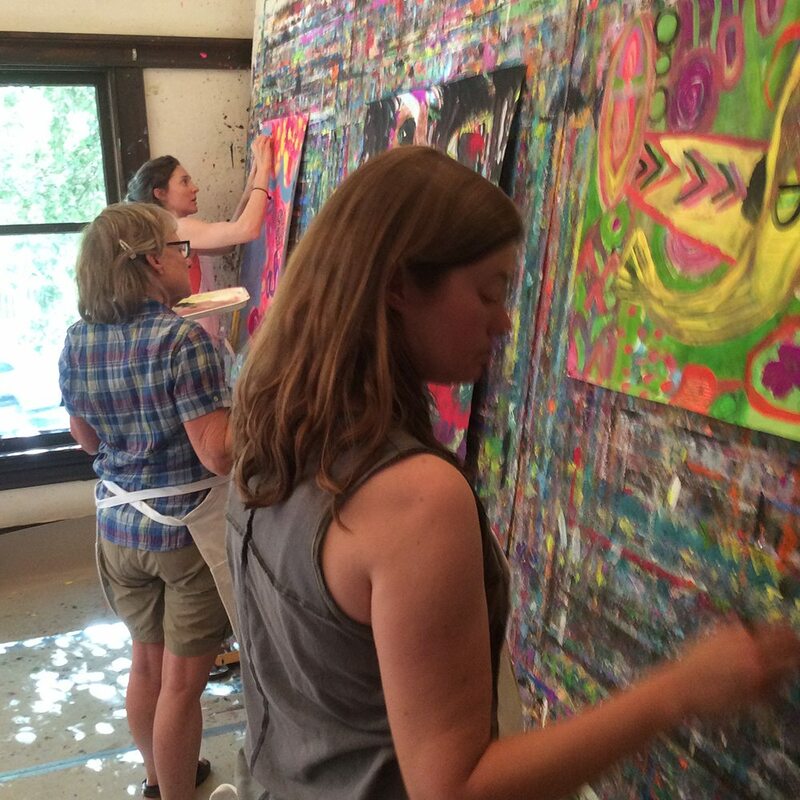 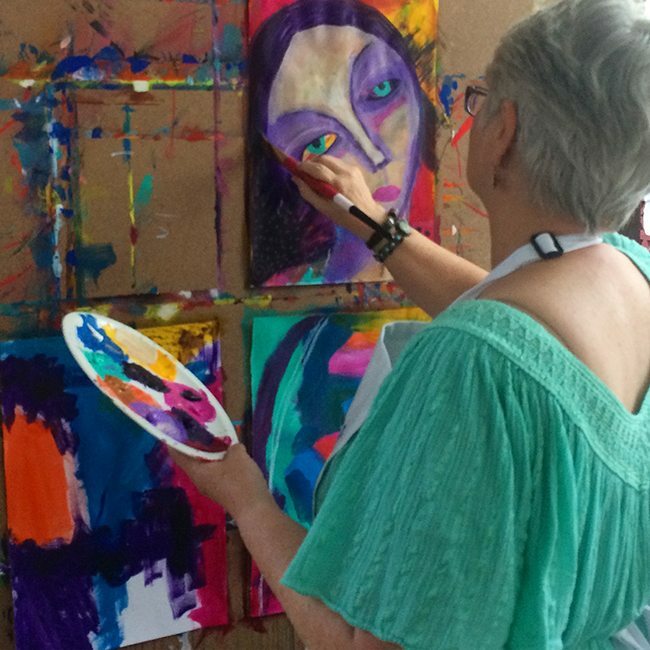 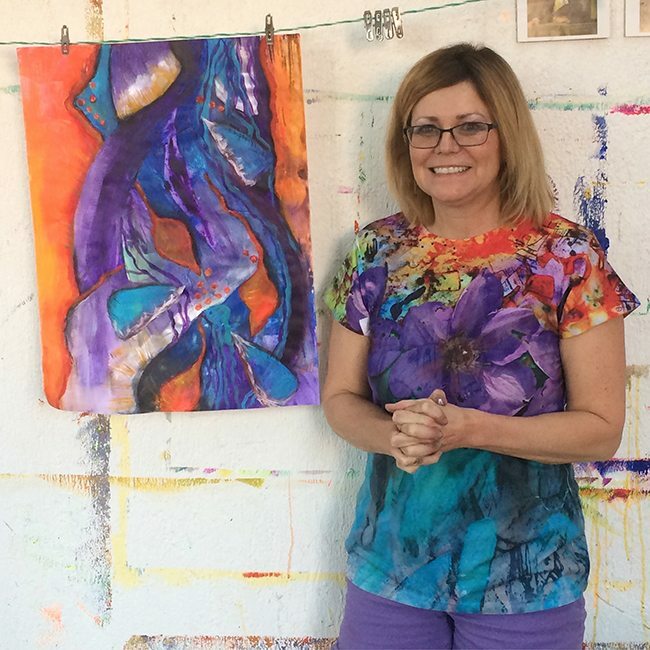 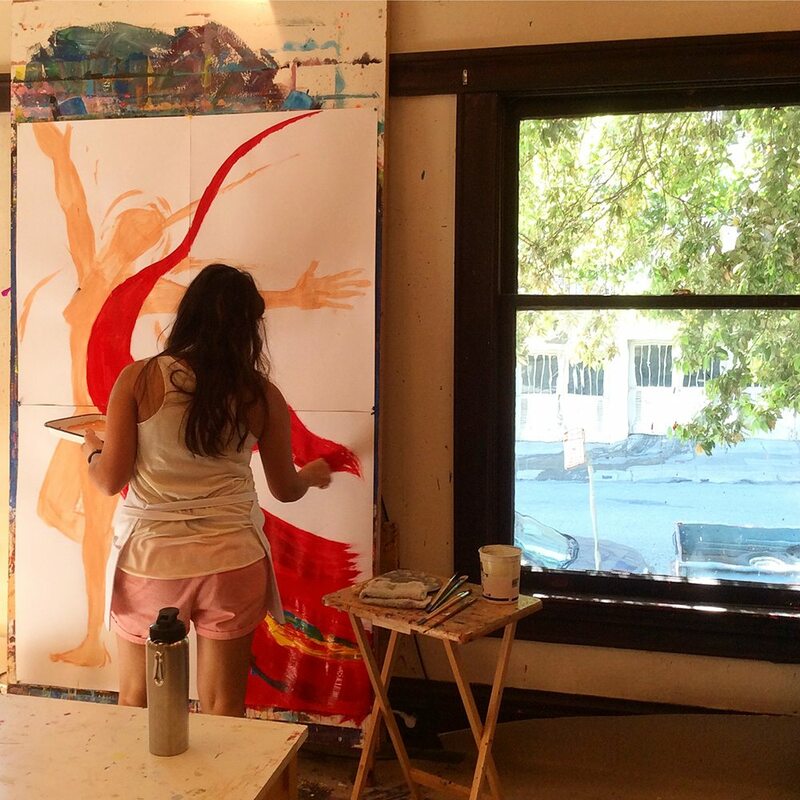 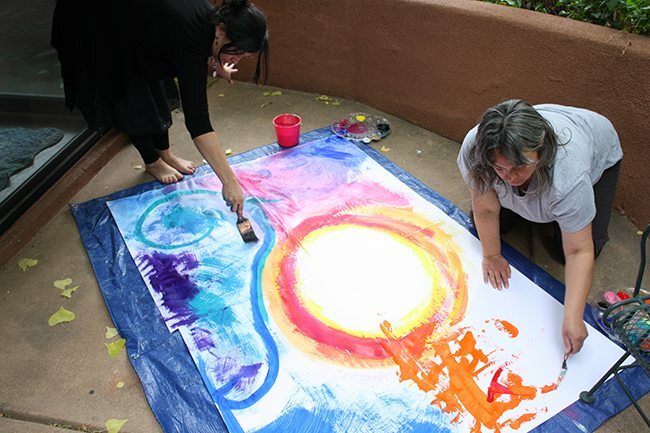 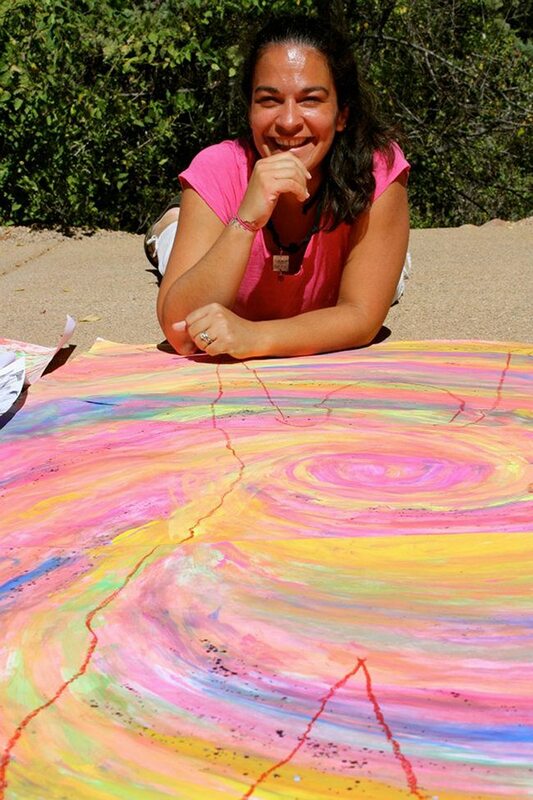 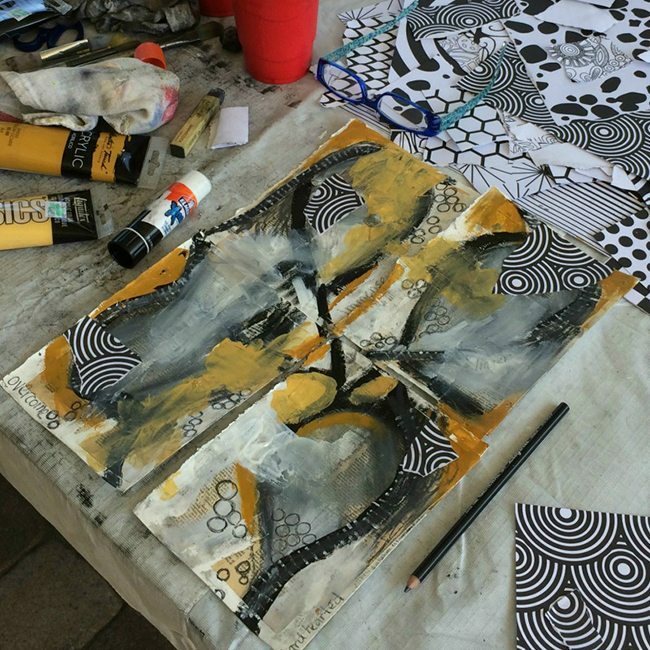 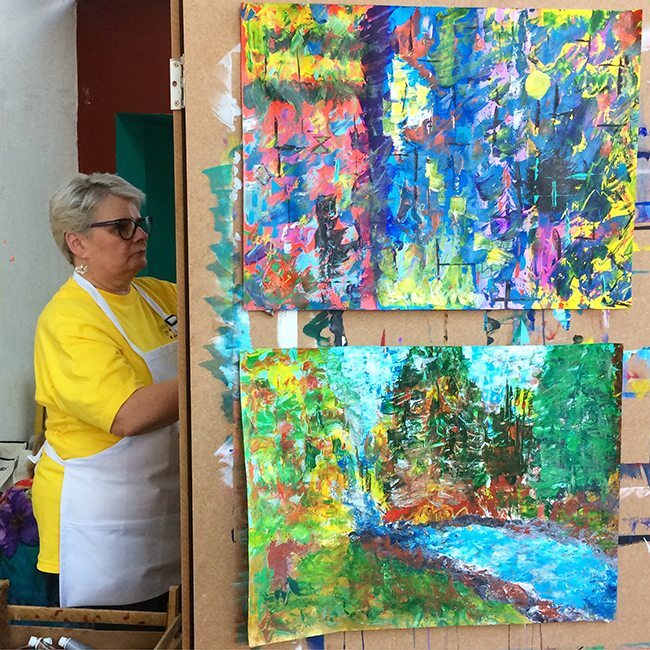 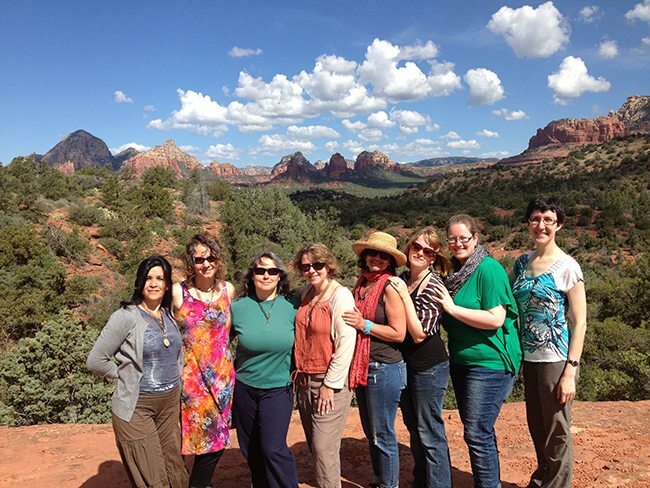 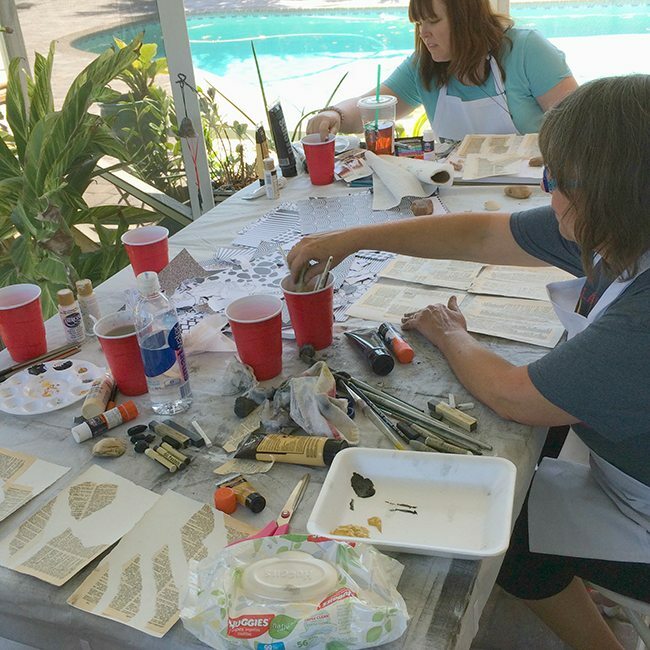 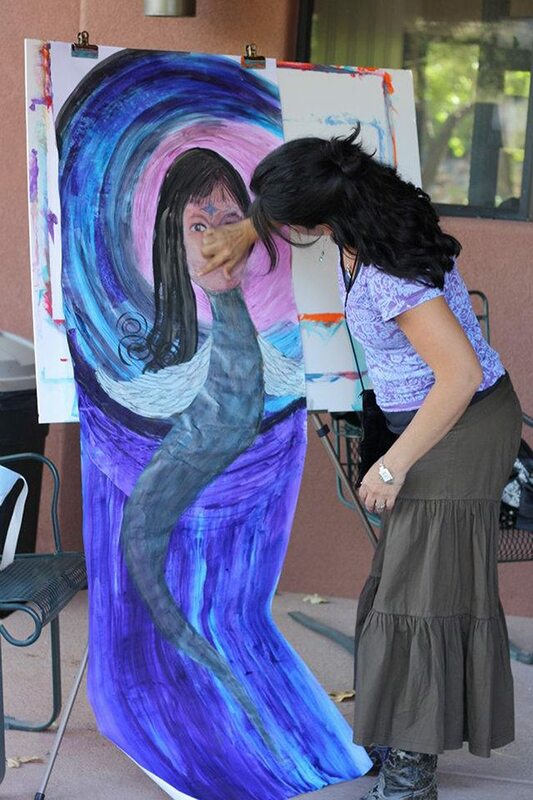 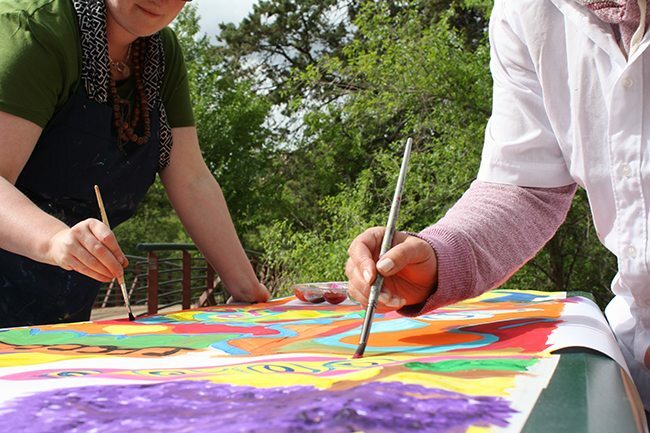 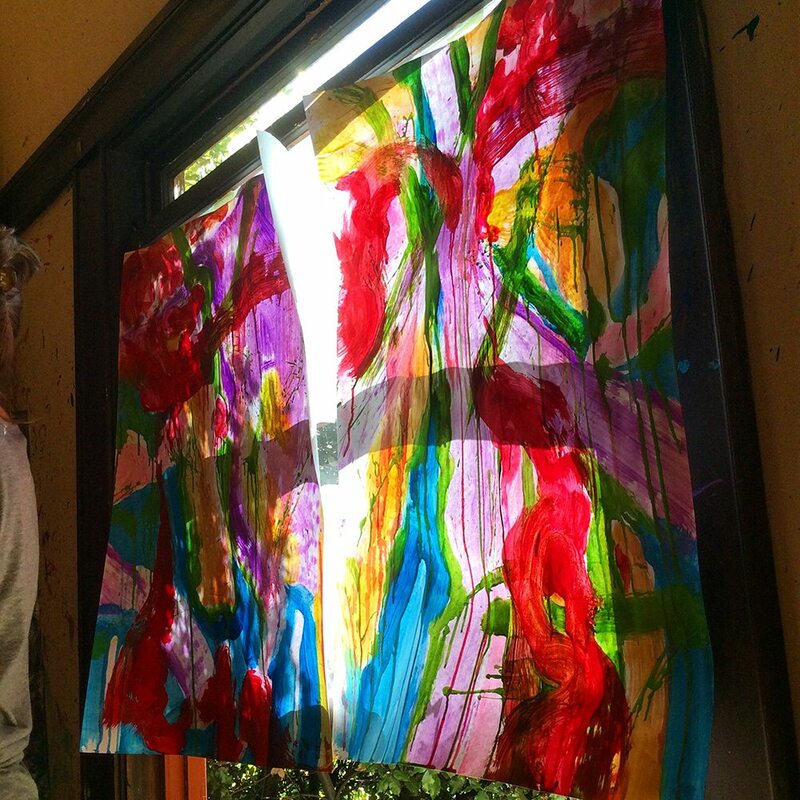 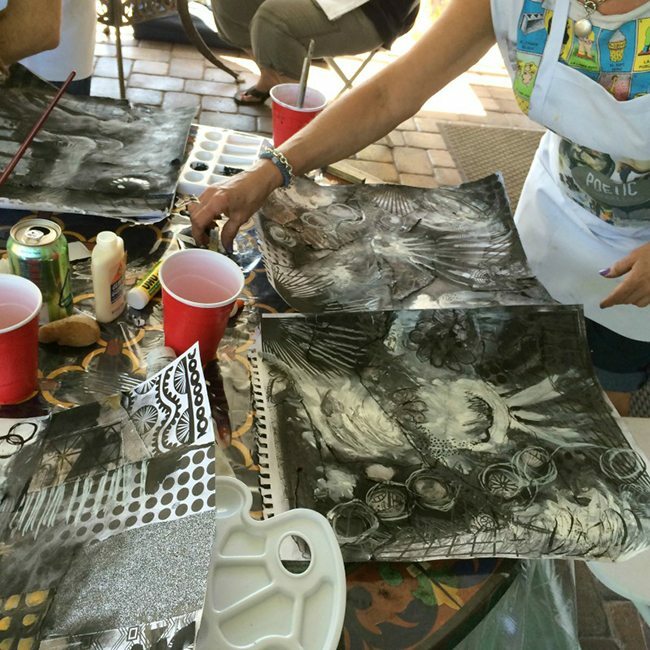 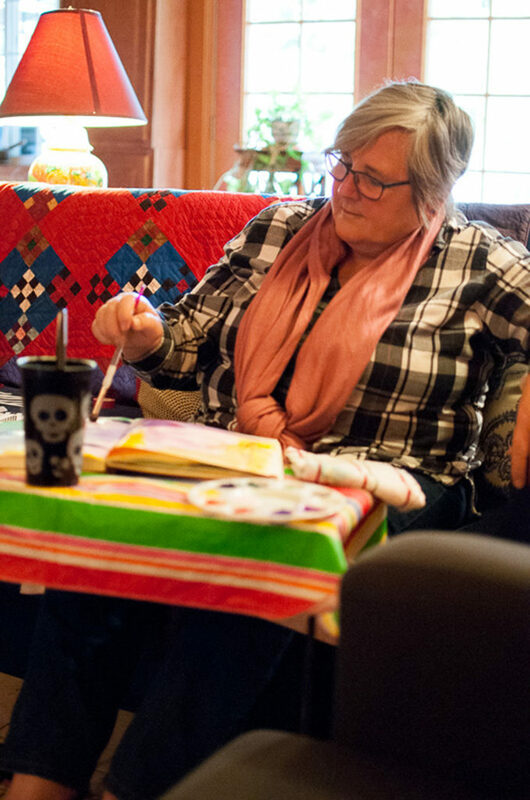 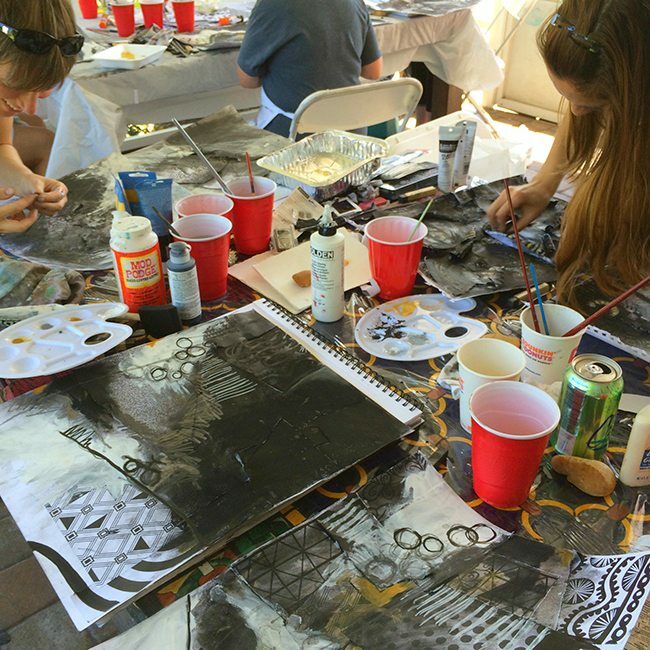 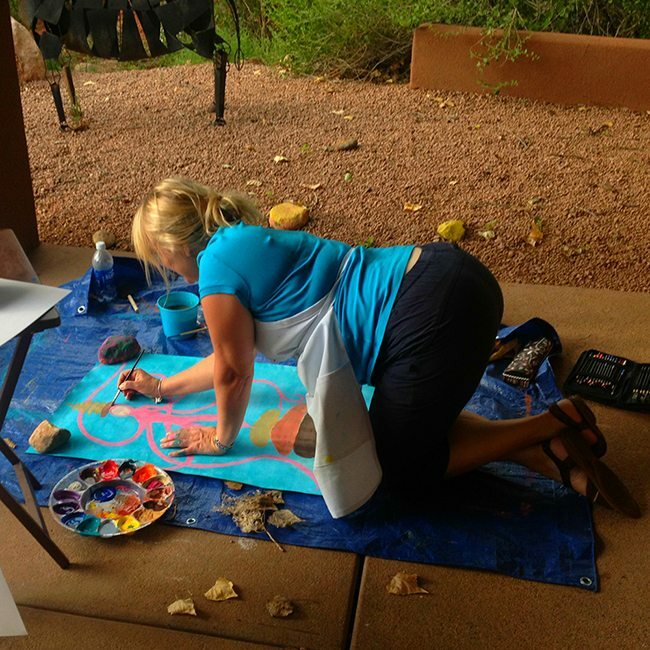 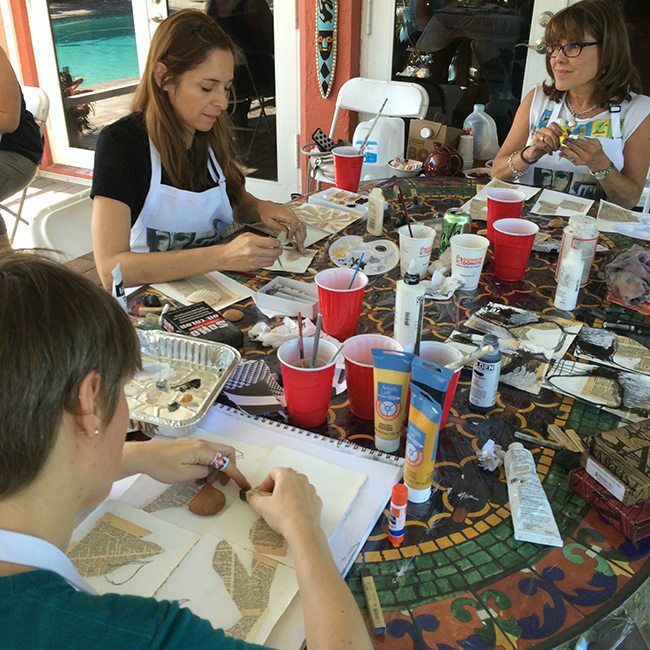 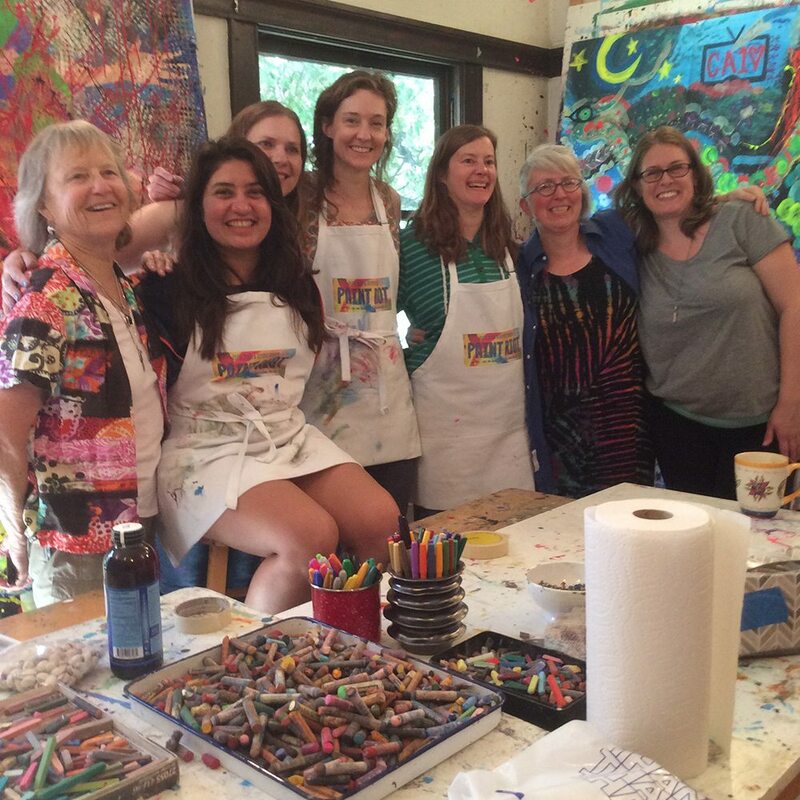 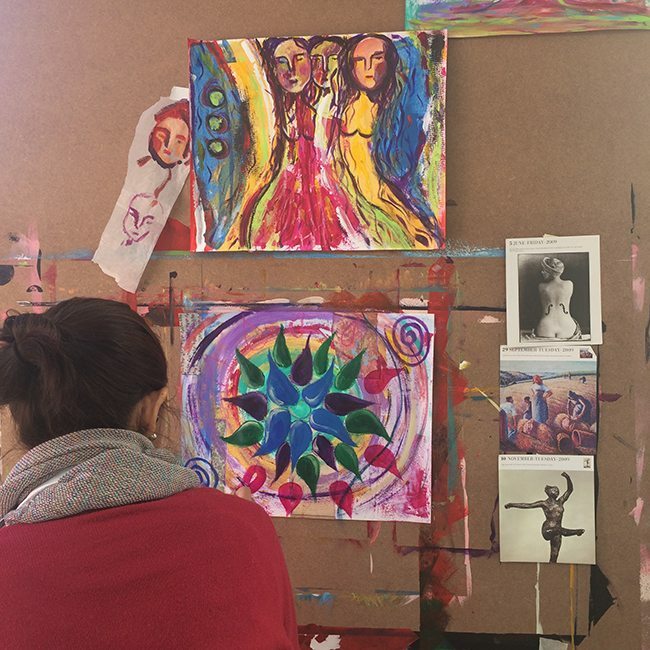 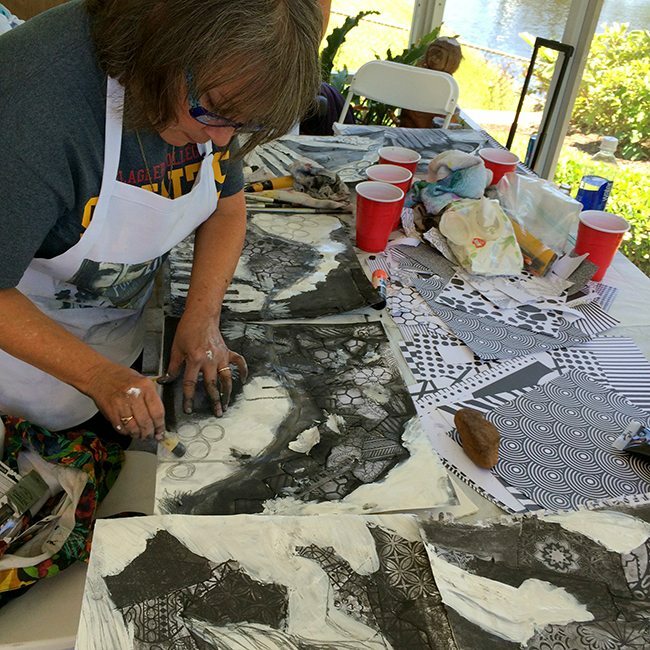 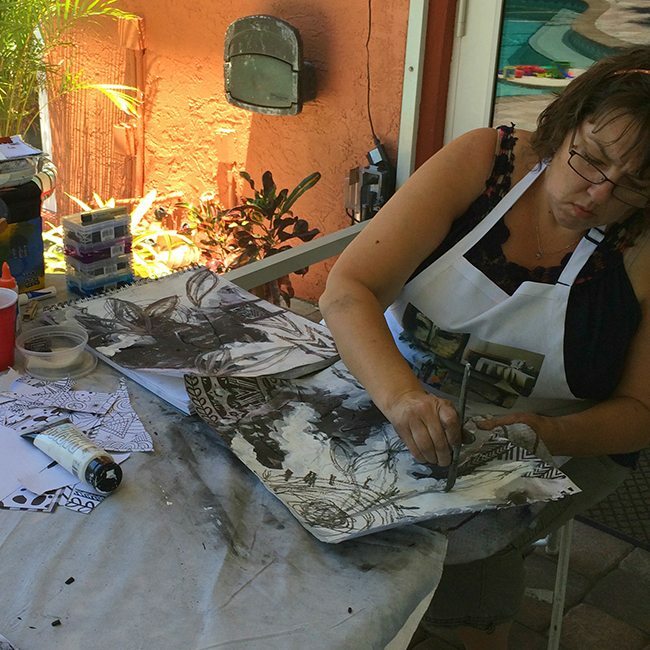 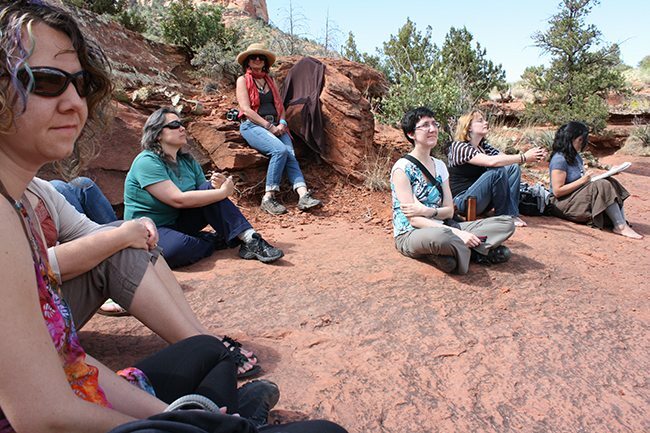 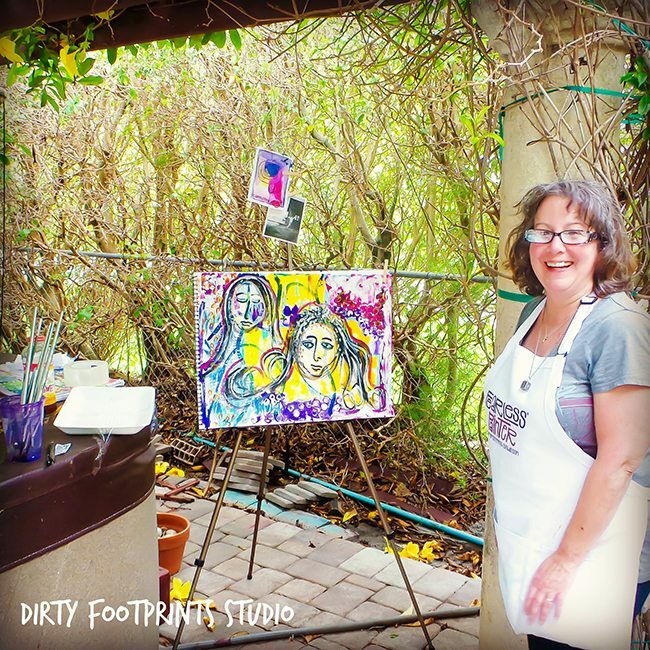 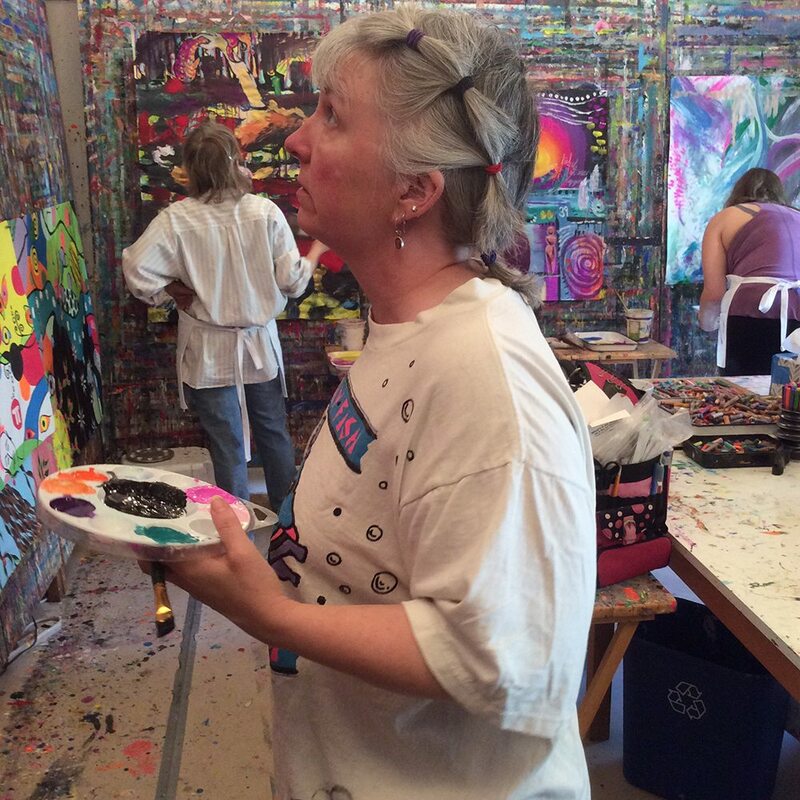 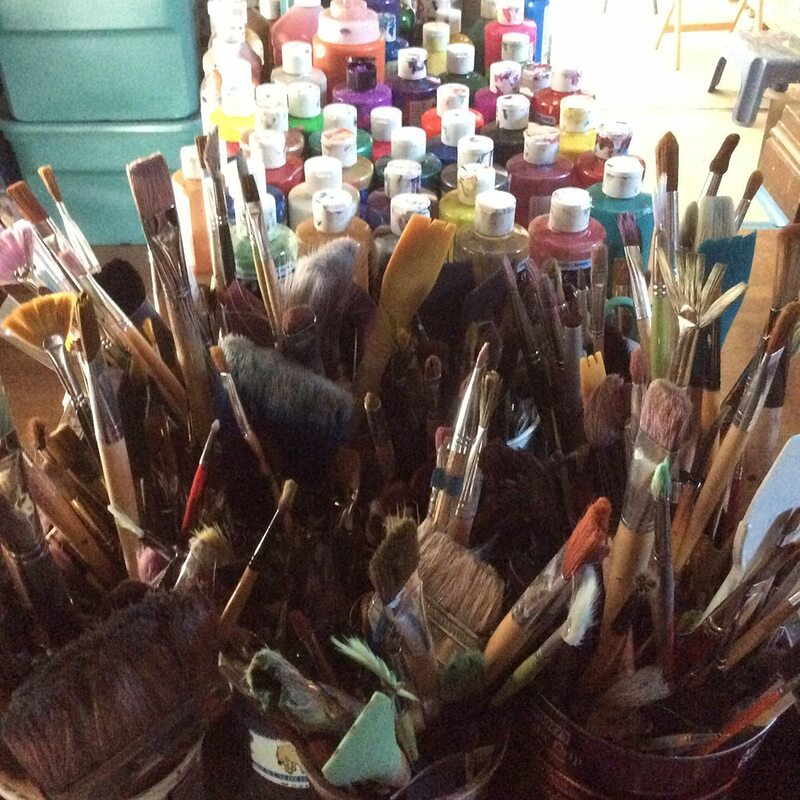 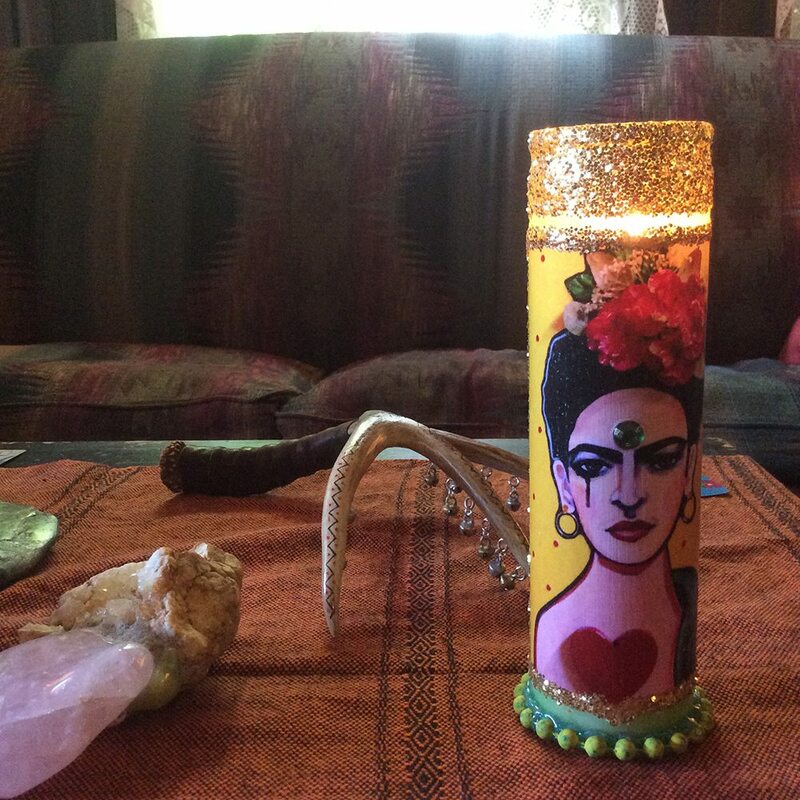 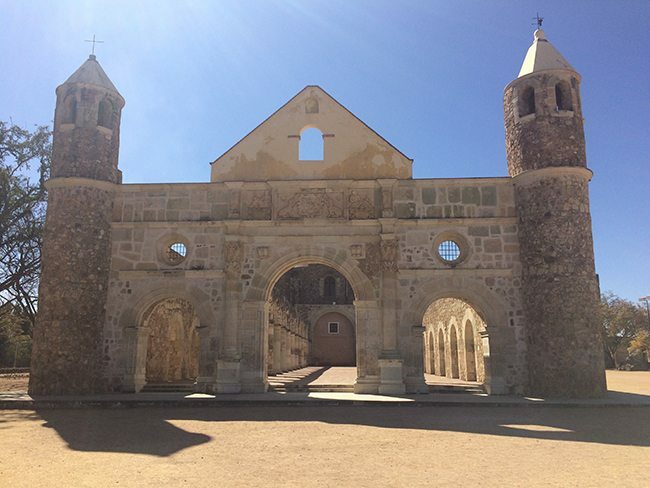 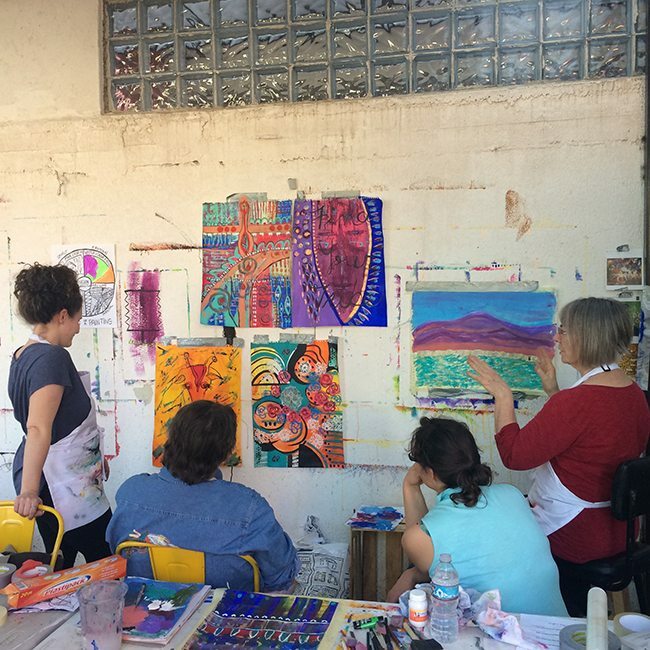 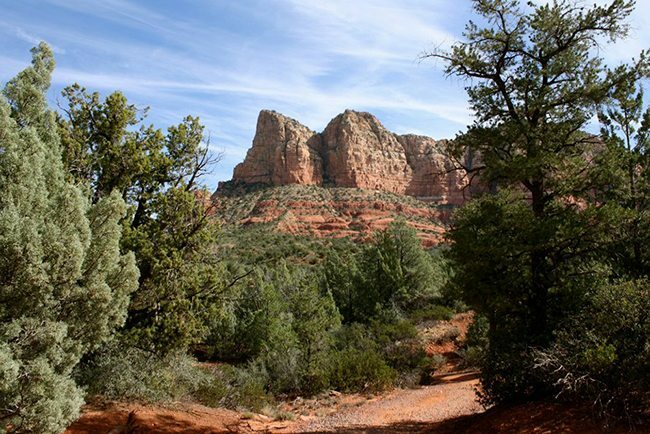 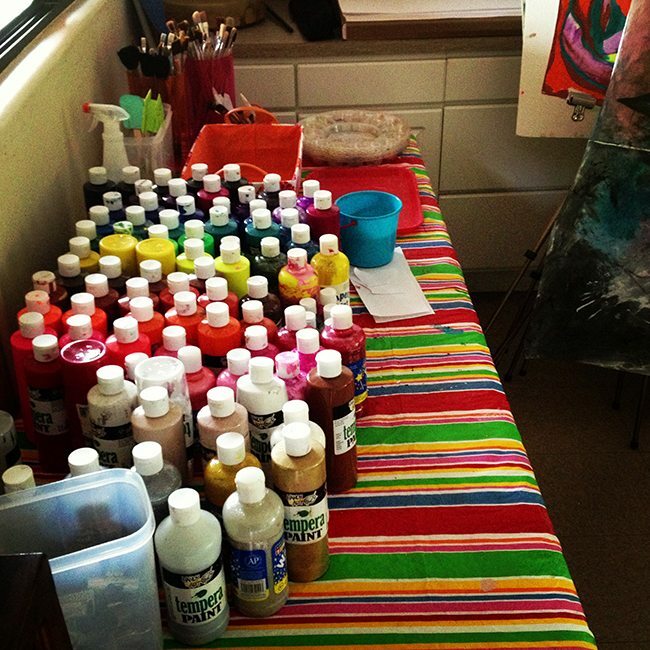 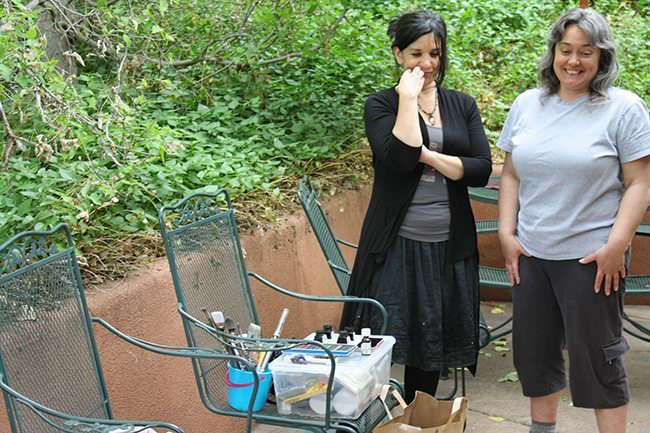 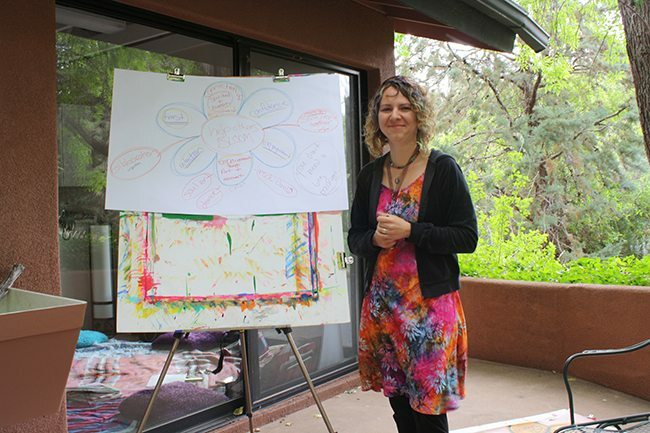 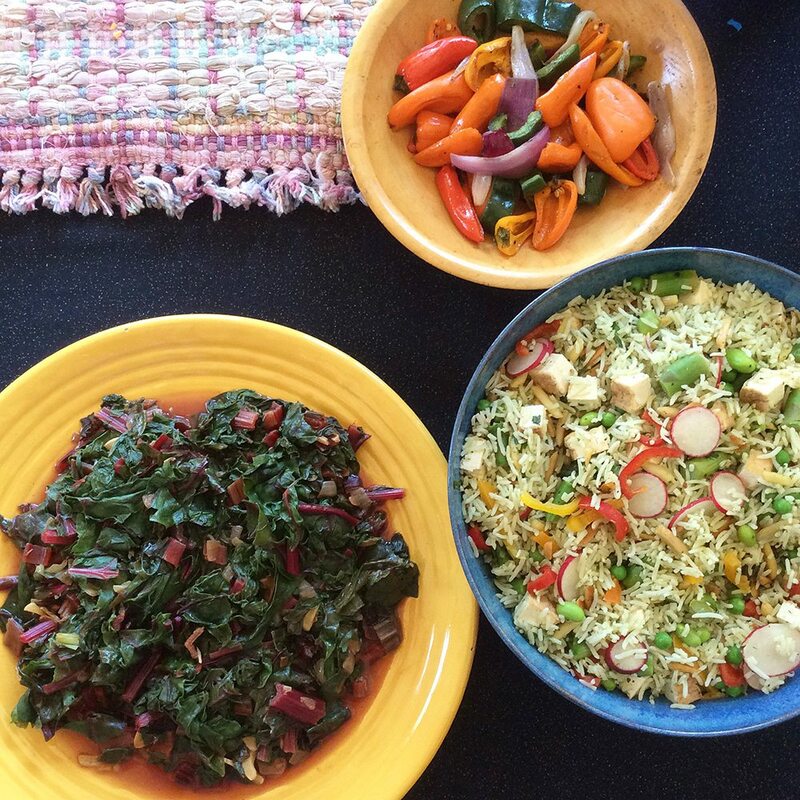 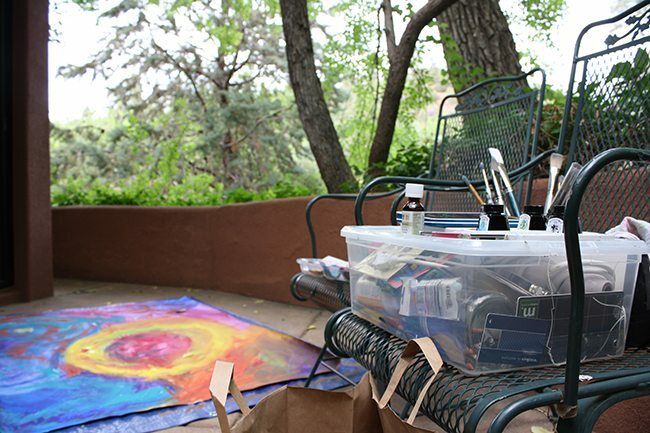 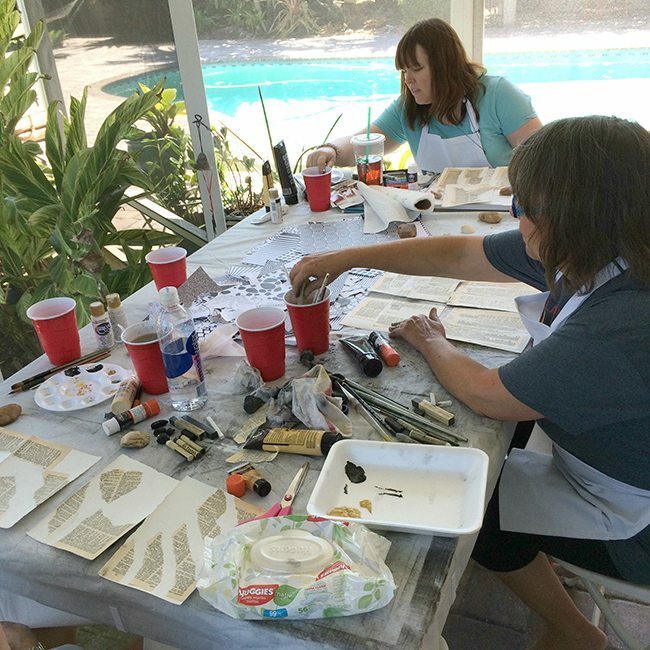 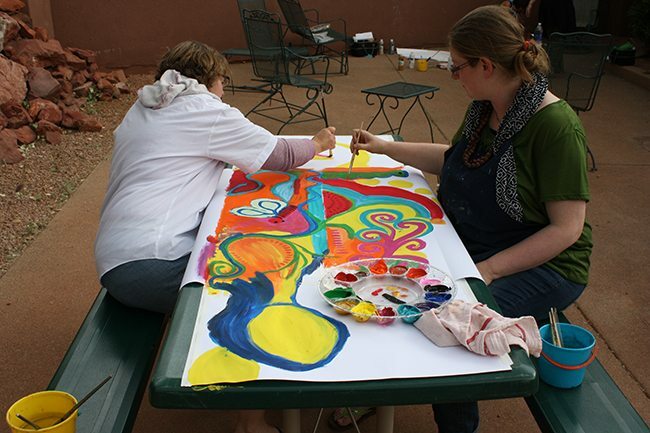 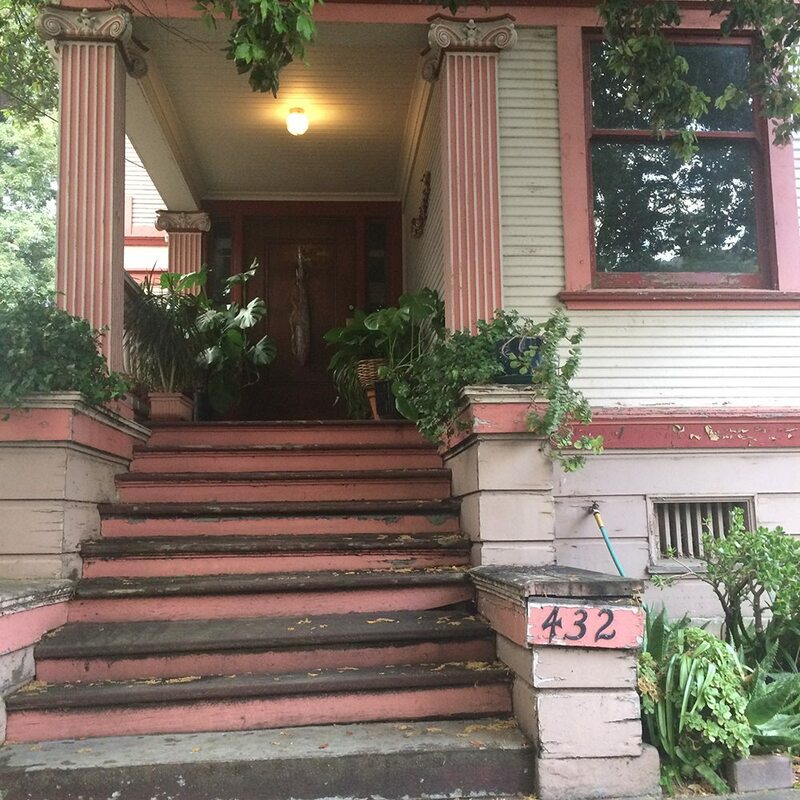 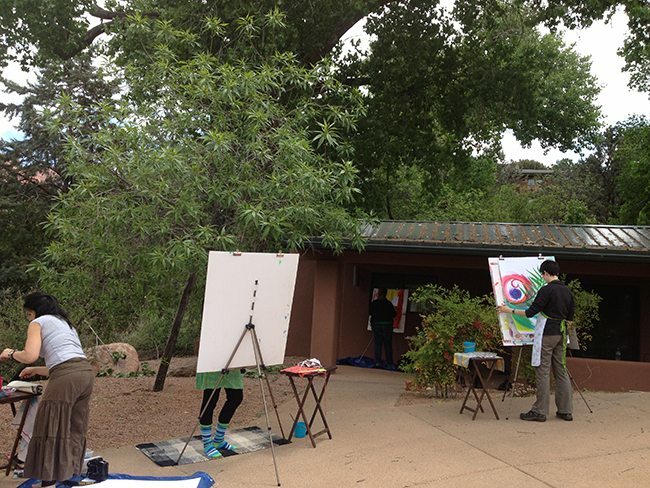 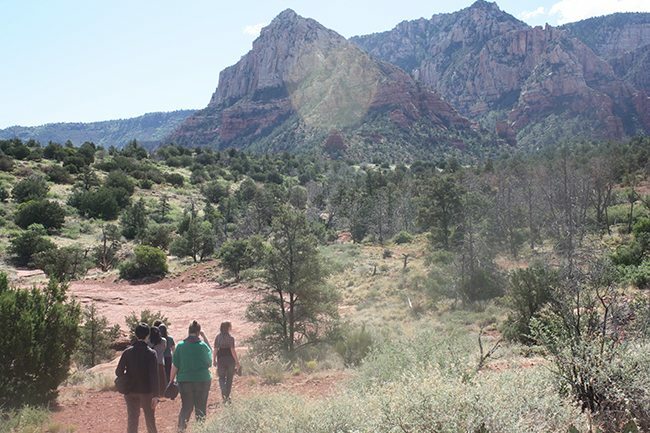 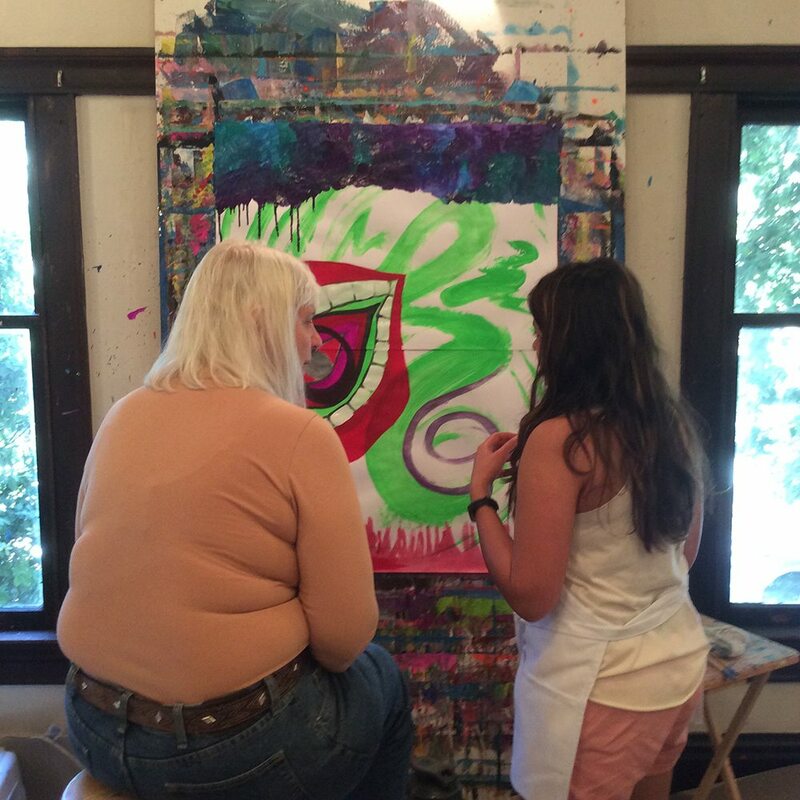 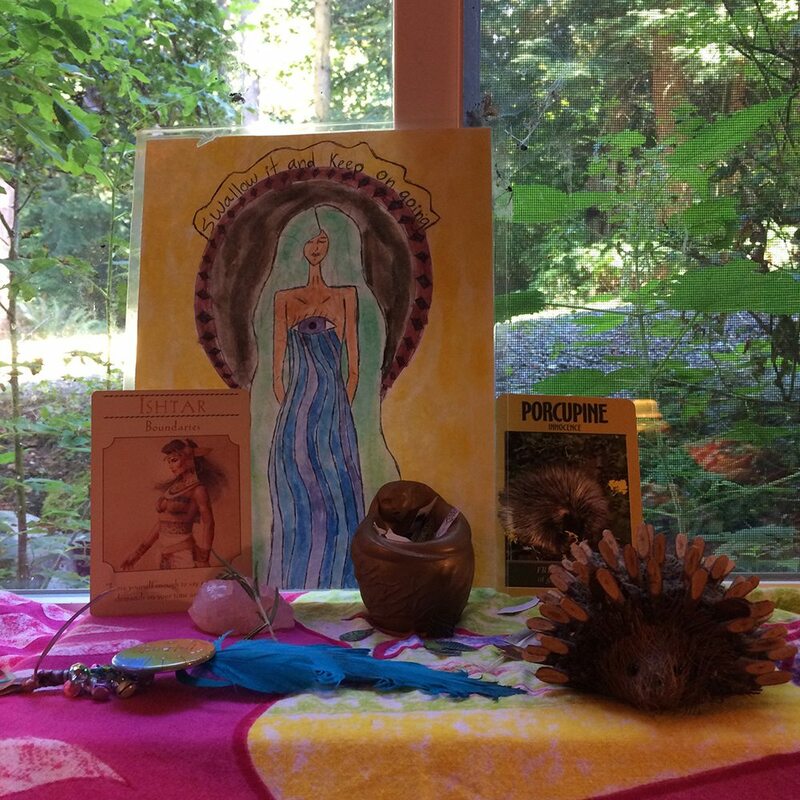 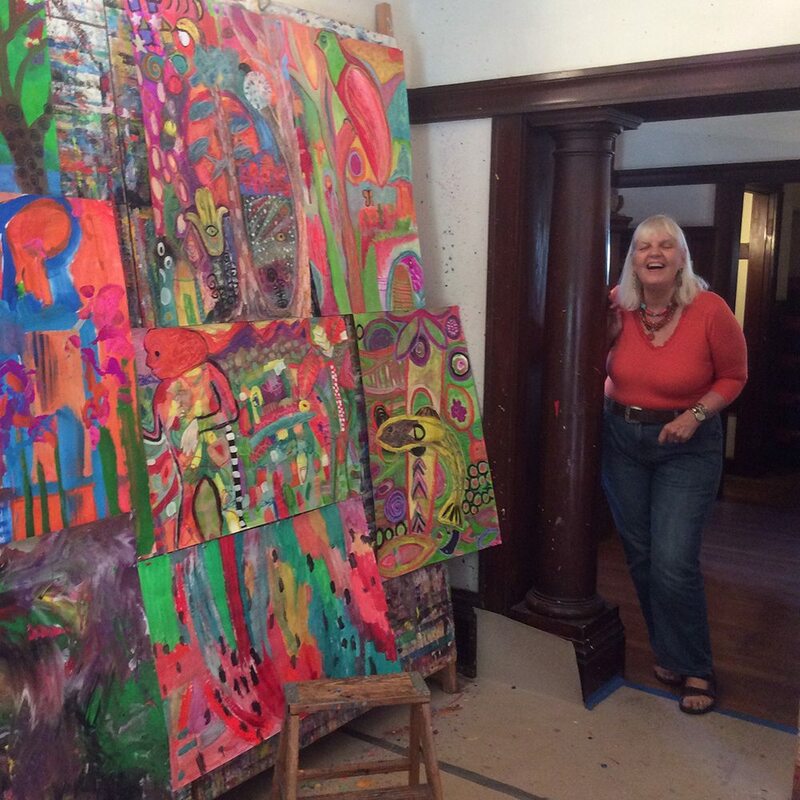 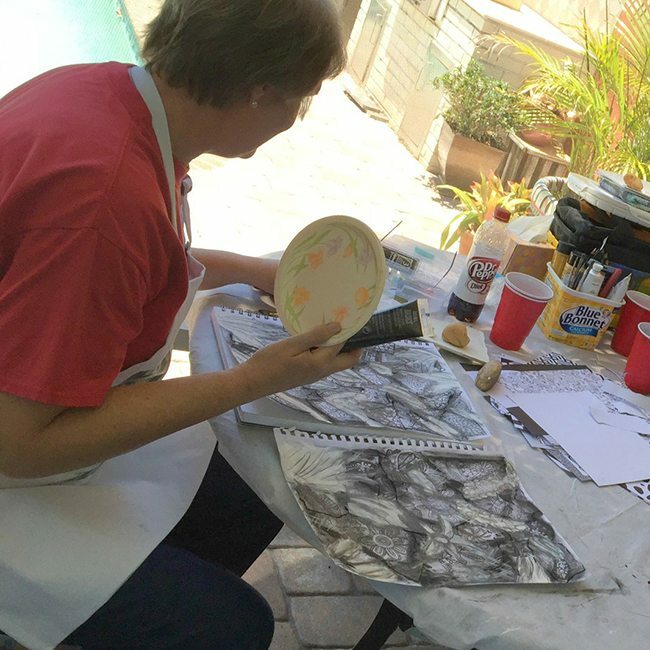 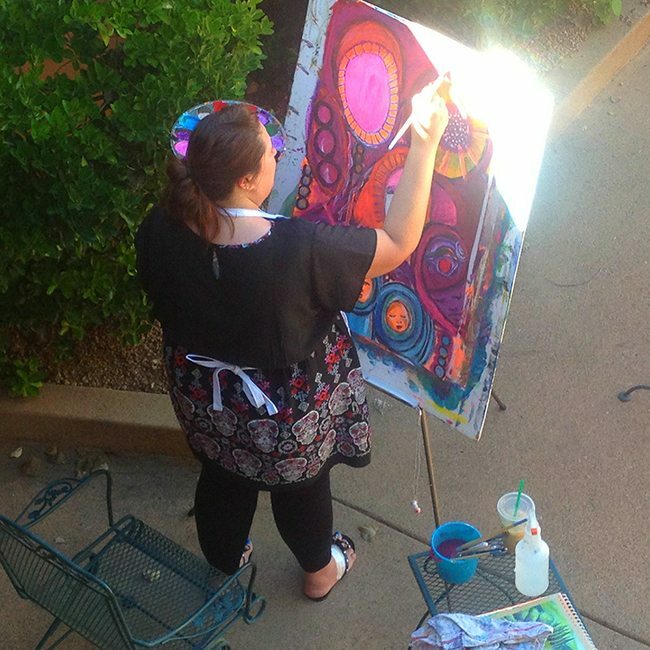 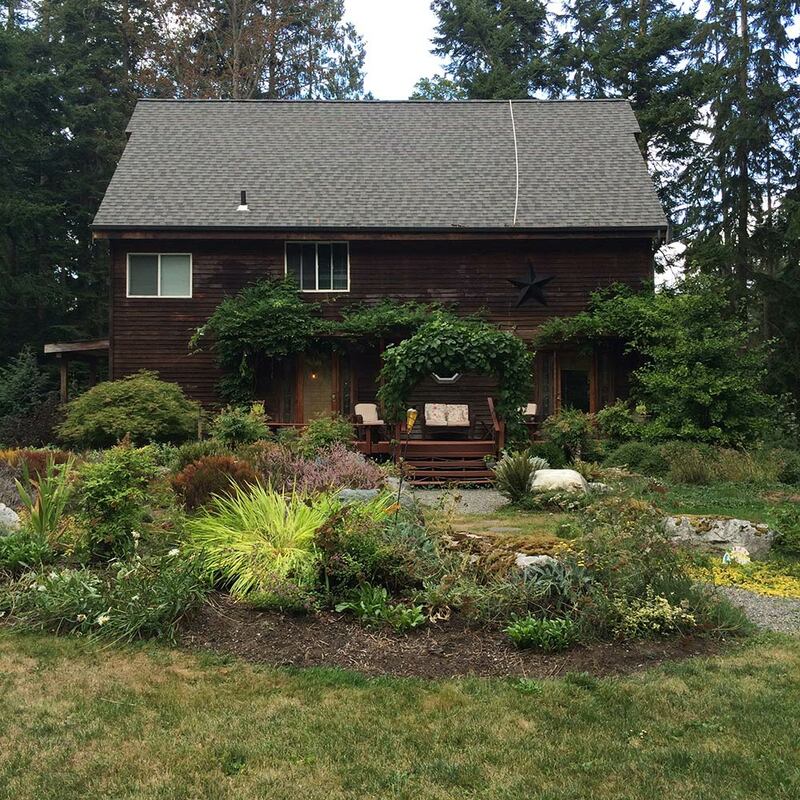 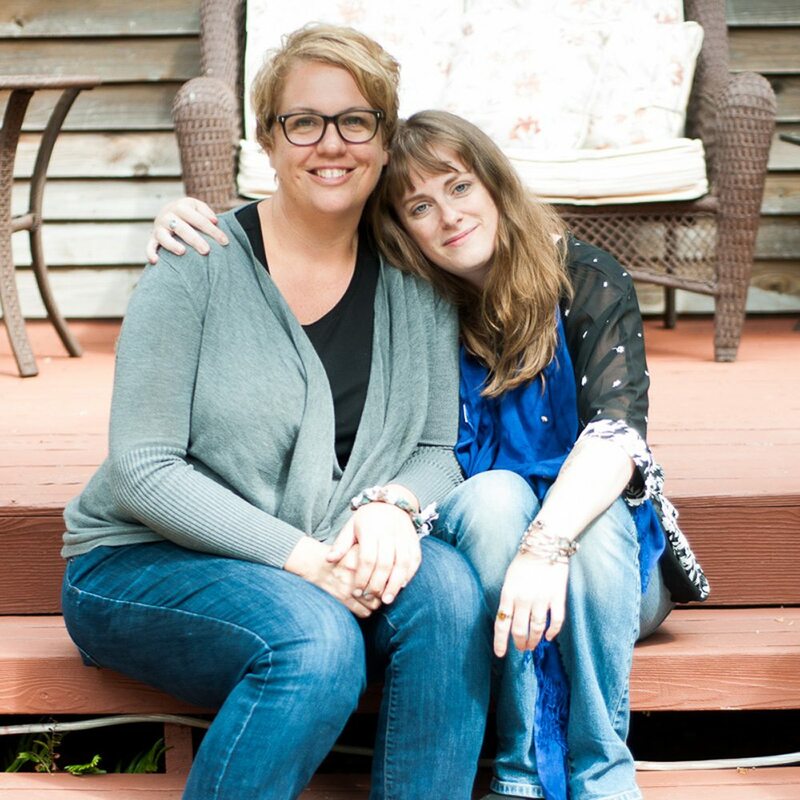 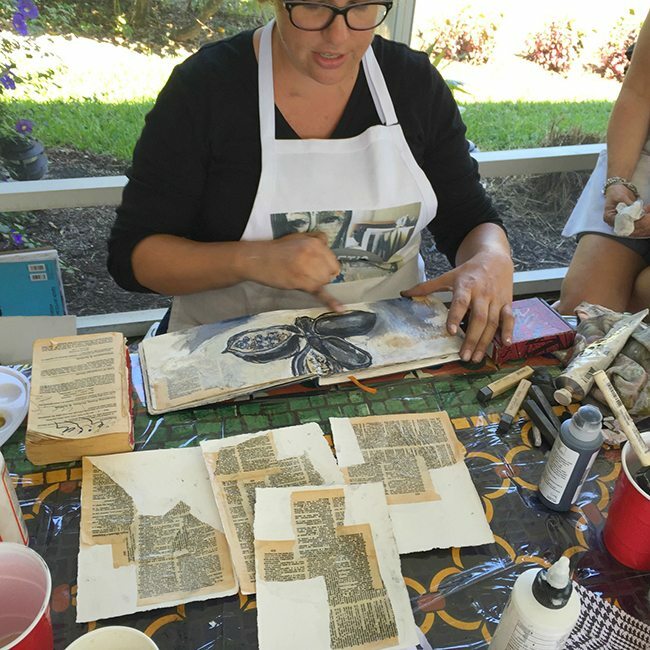 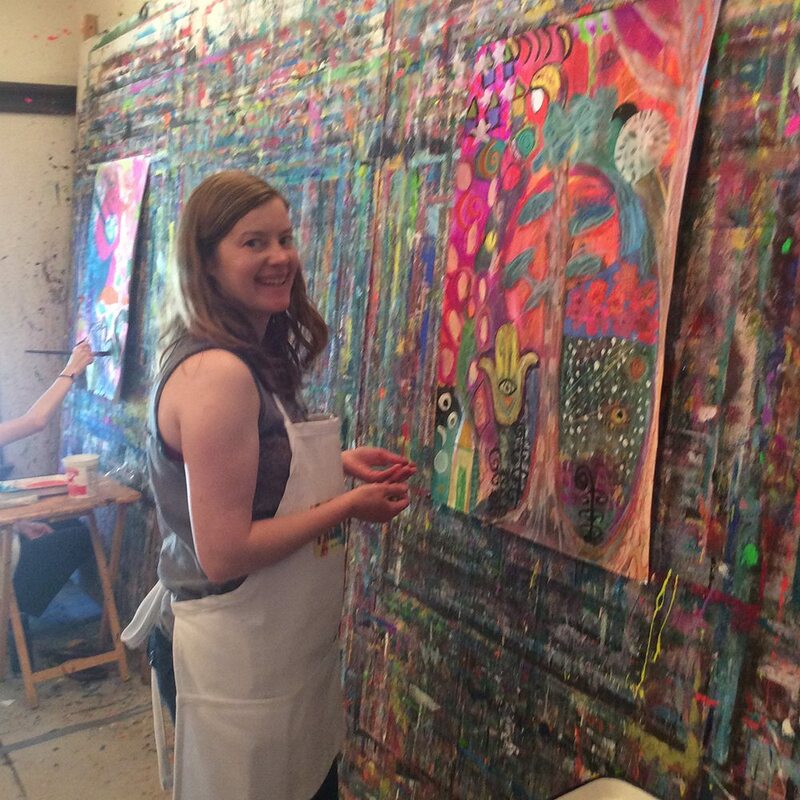 A Wild Heart and FEARLESS® Painting retreat with Connie Solera and Chris Zydel. 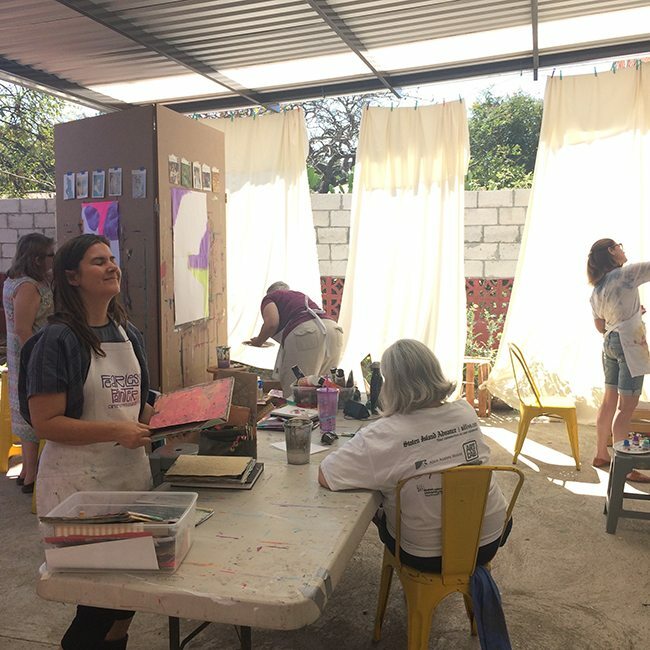 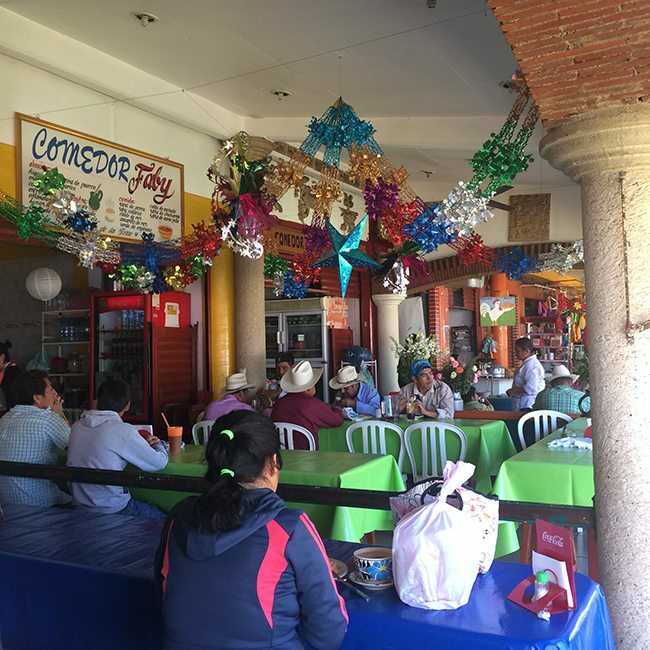 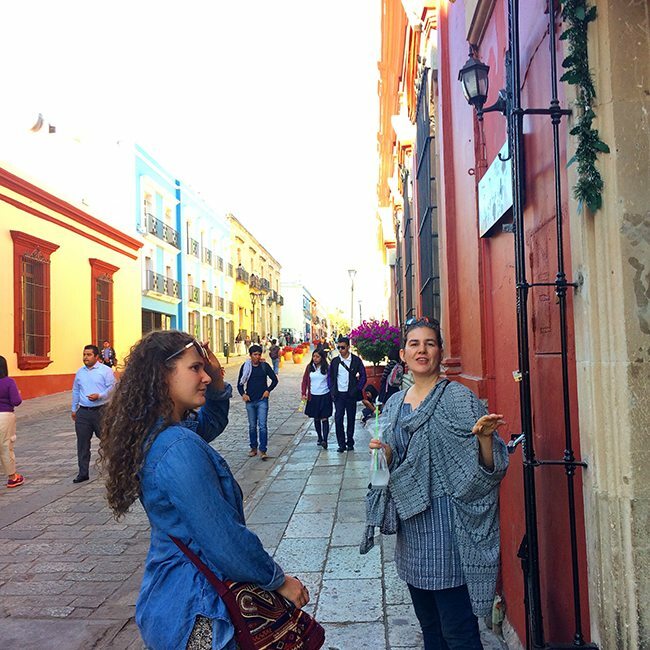 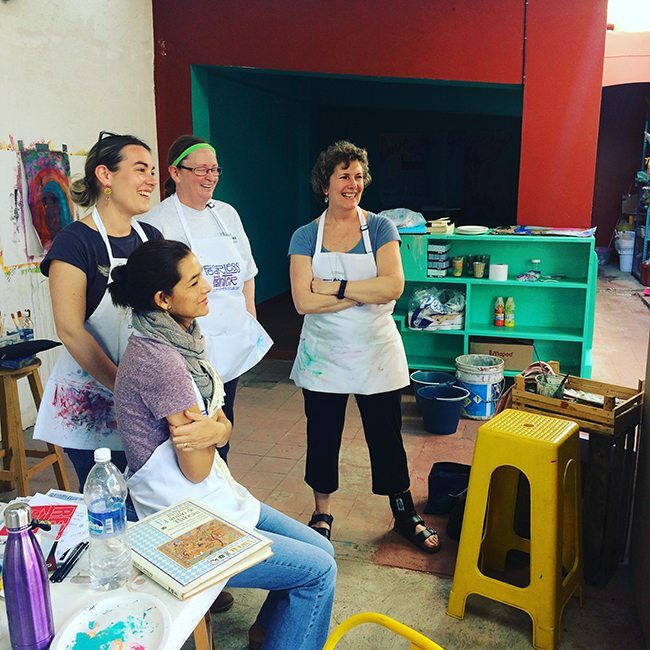 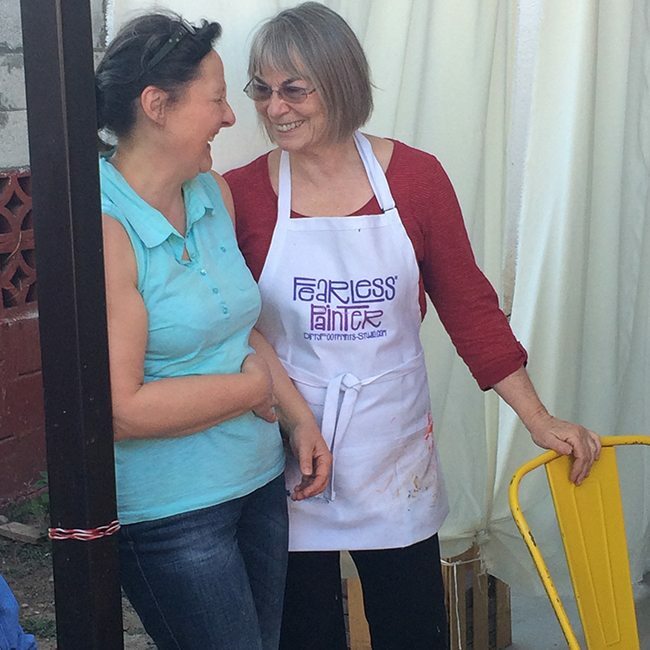 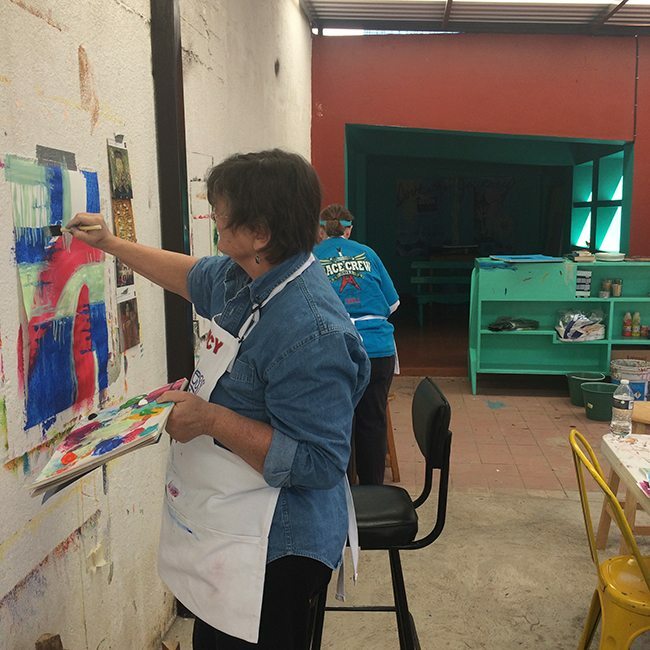 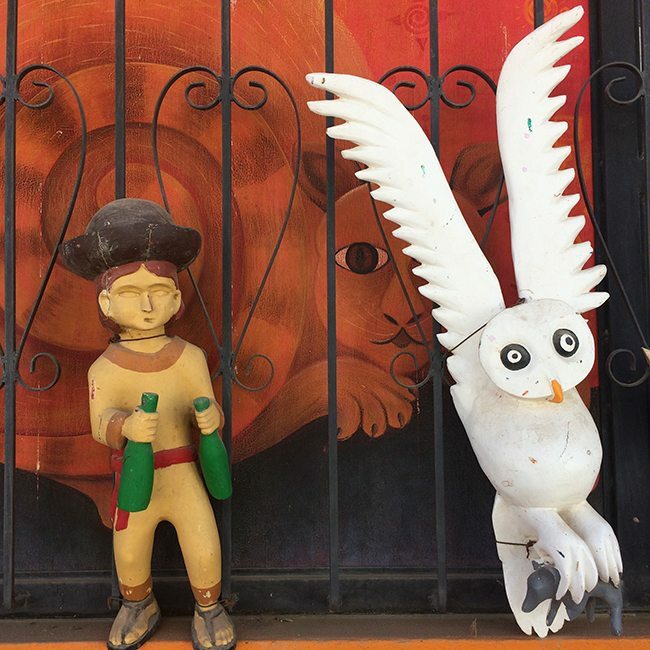 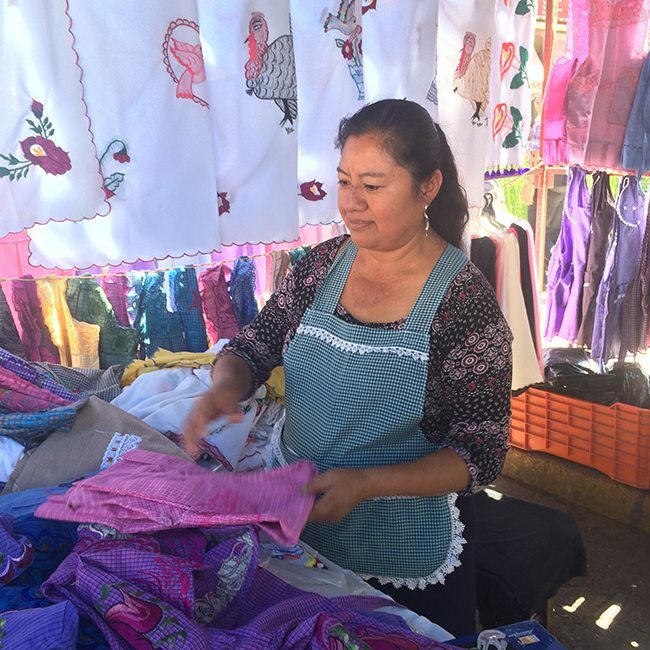 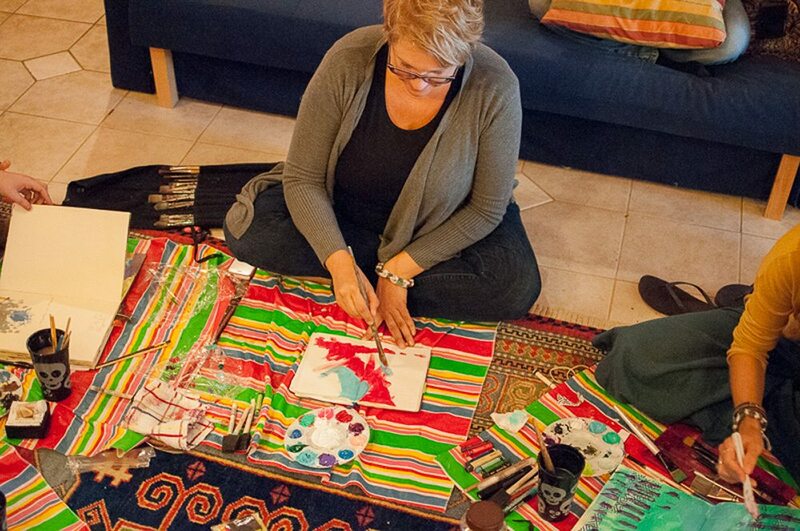 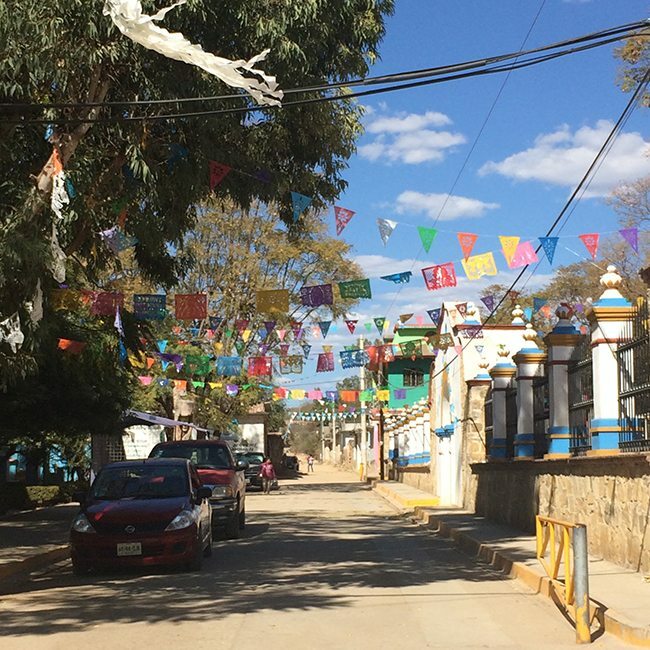 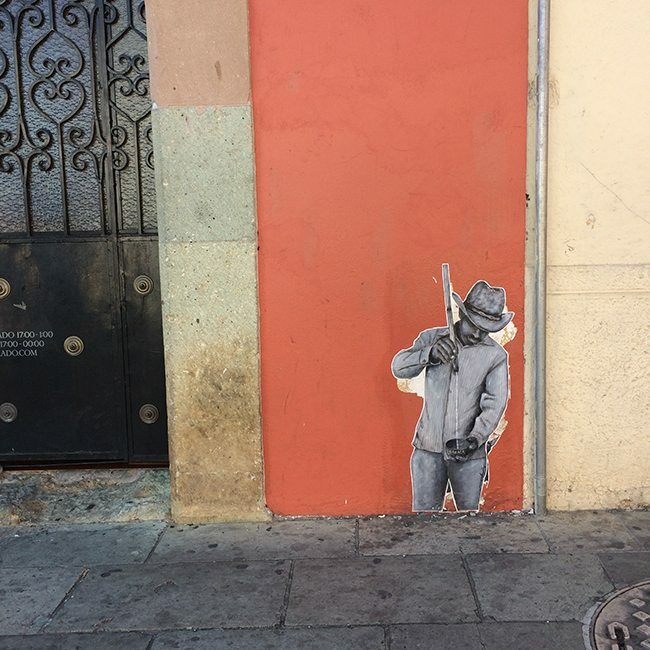 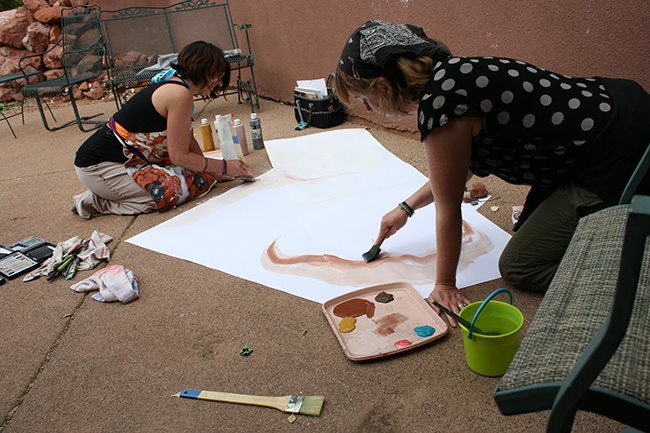 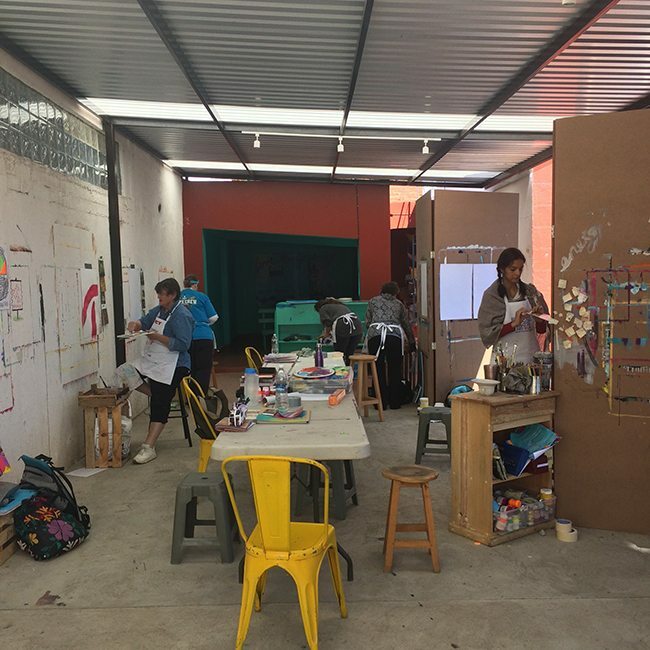 Two week long FEARLESS® Painting retreats in Oaxaca, Mexico. 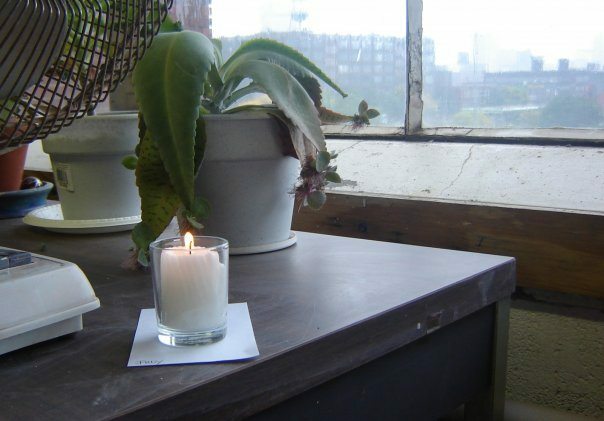 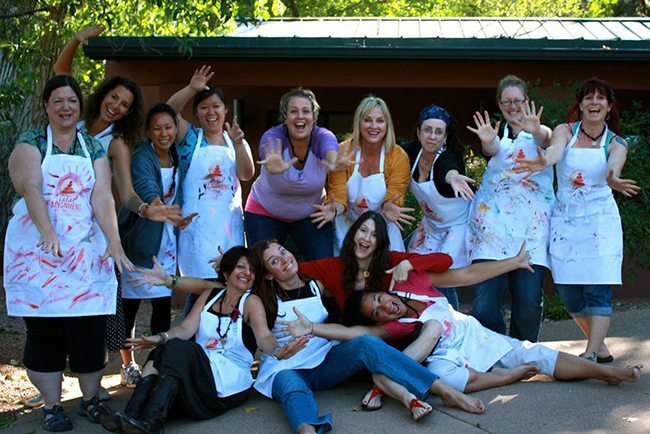 A week long immersion only open to graduates of my IGNITE Online Intensive. 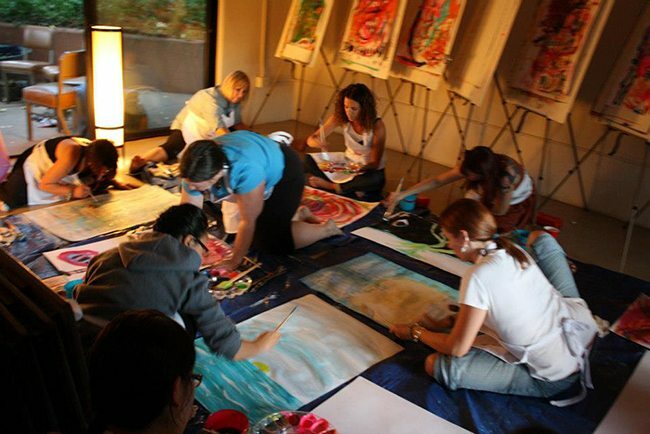 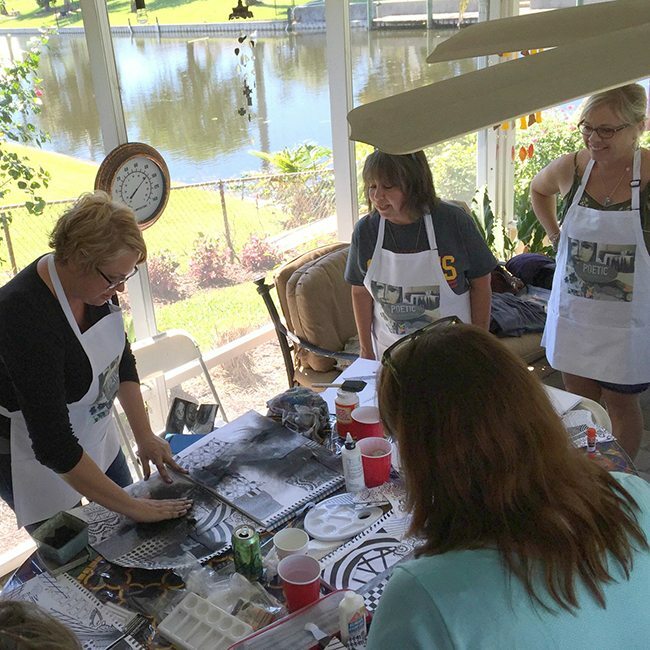 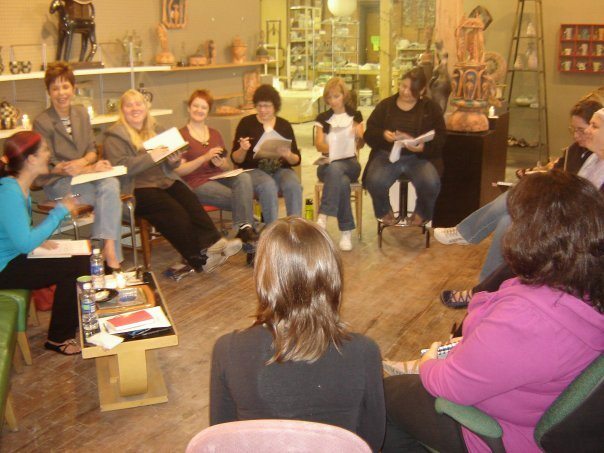 A one day workshop where we Infused mood and mystery into our FEARLESS® Painting practice. 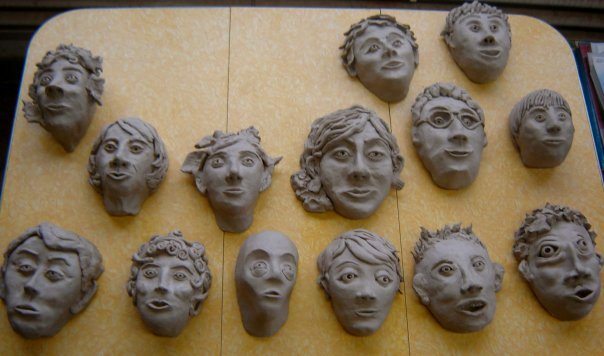 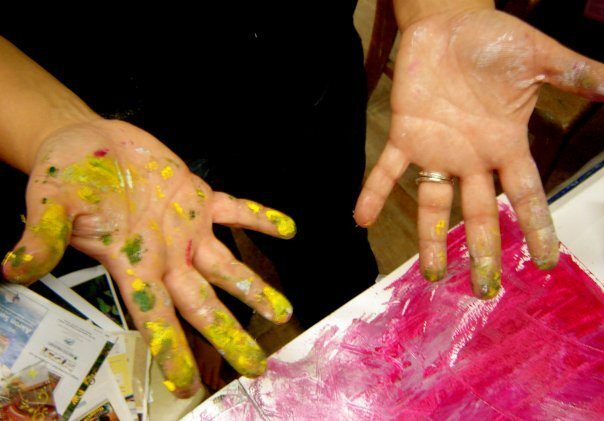 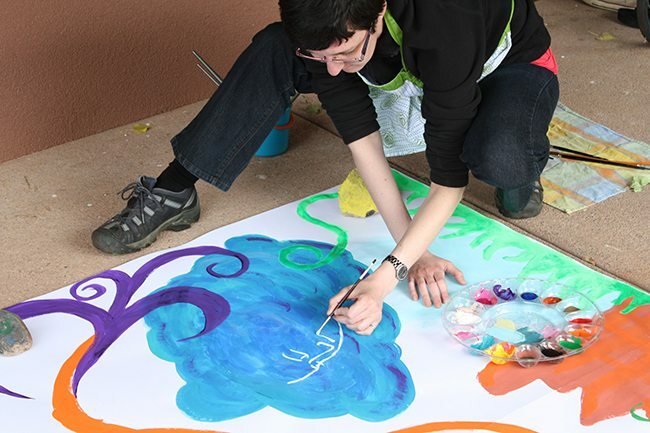 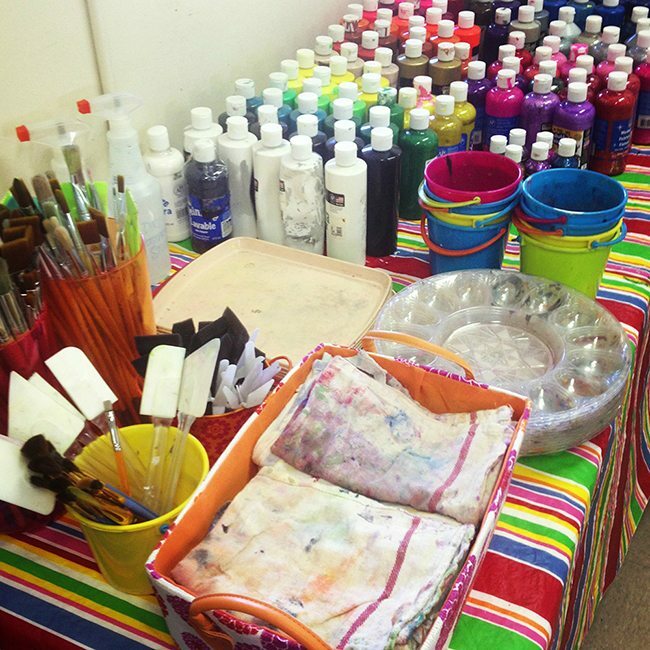 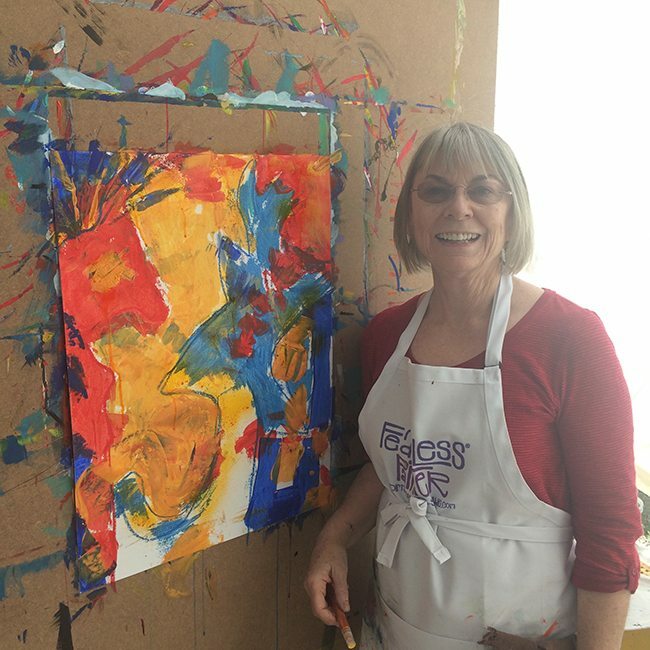 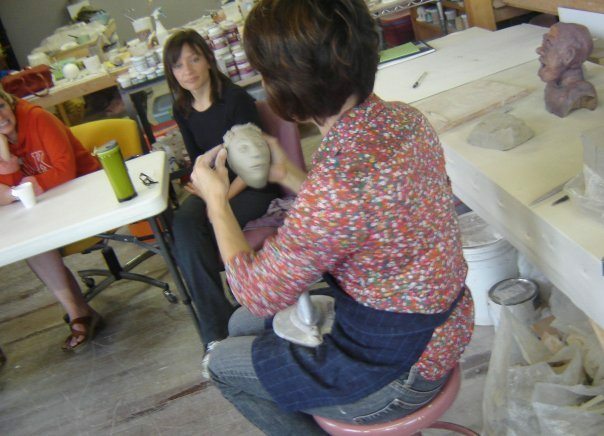 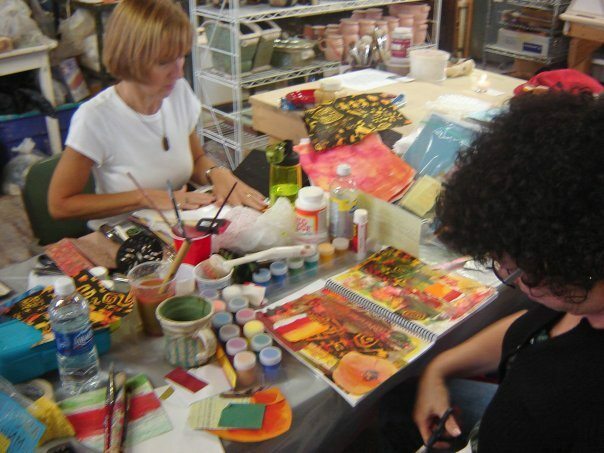 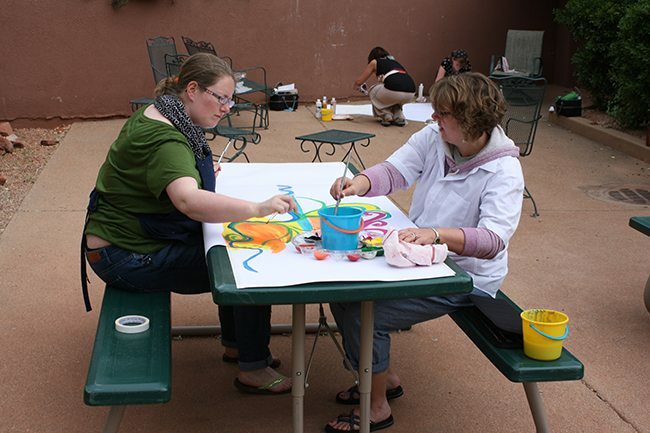 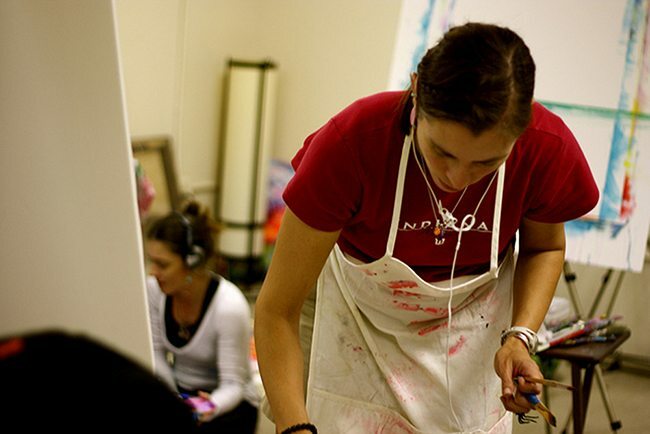 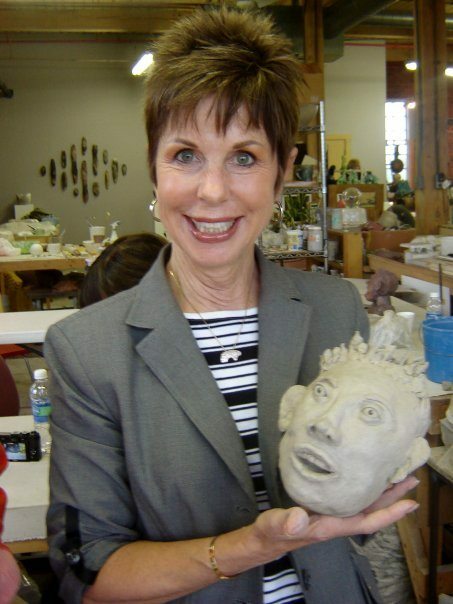 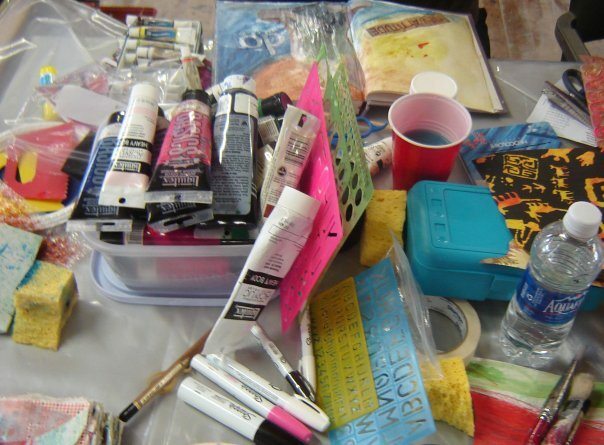 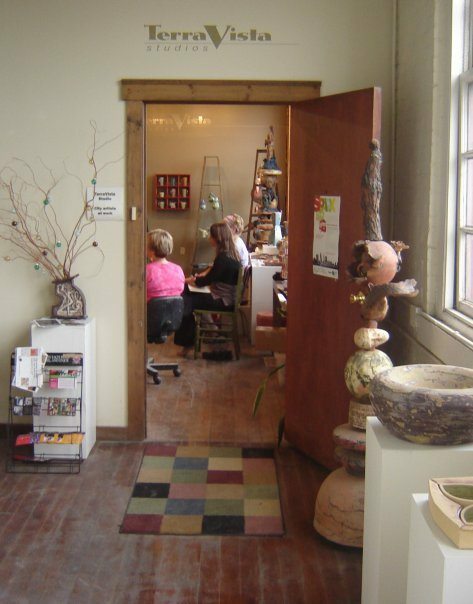 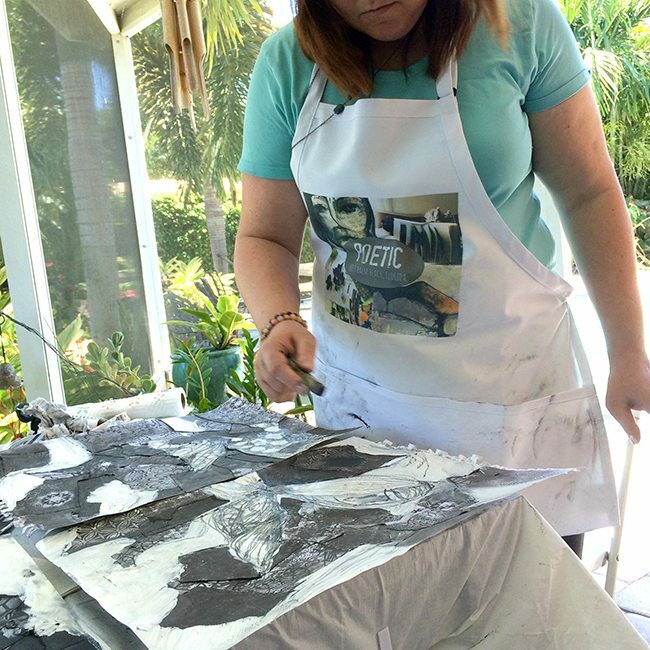 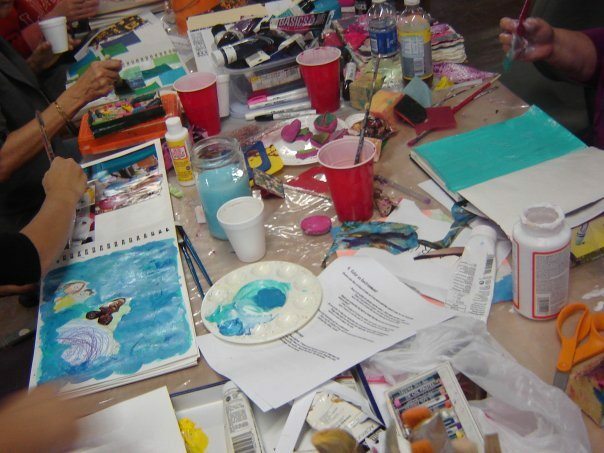 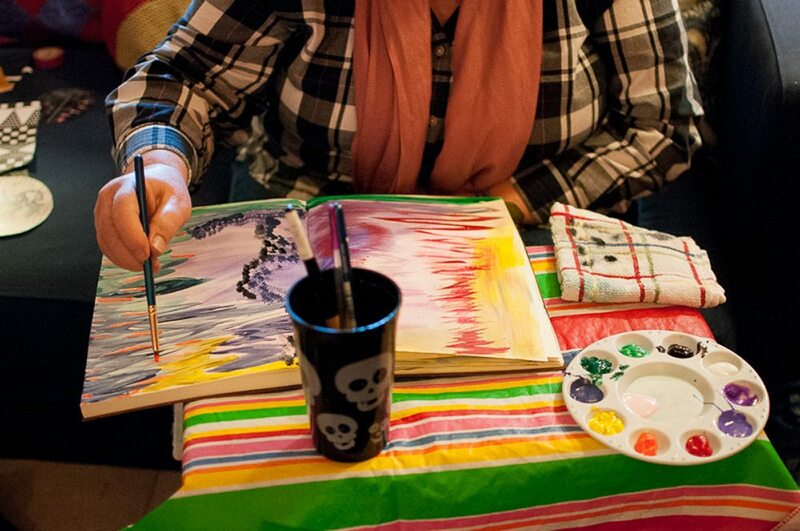 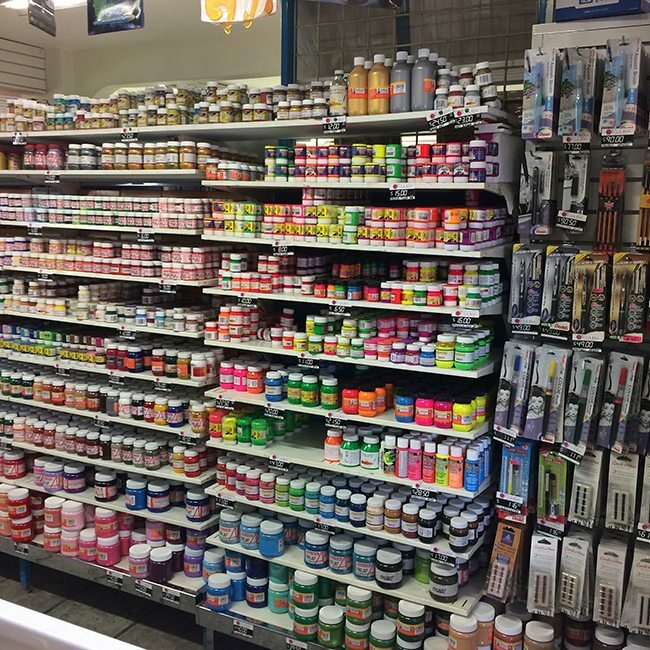 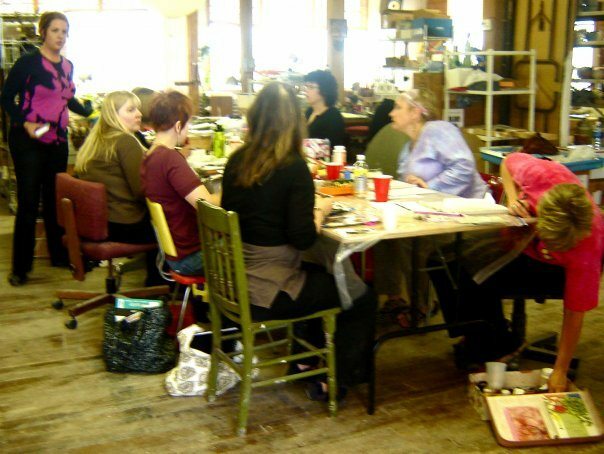 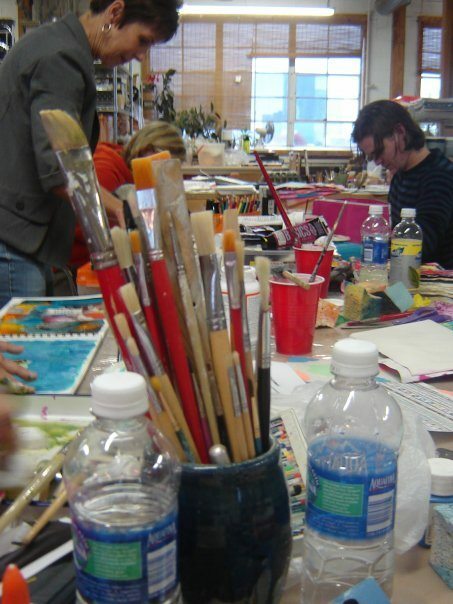 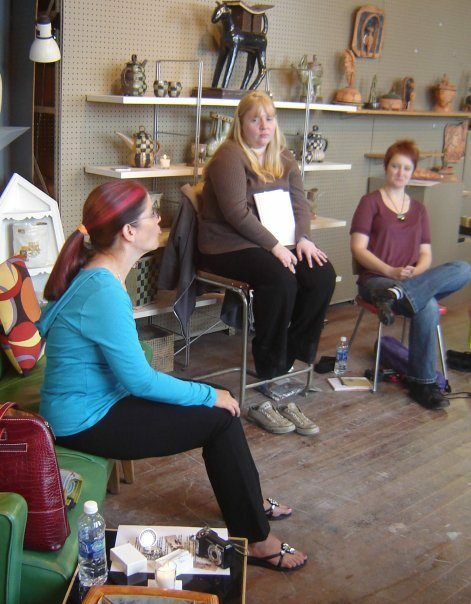 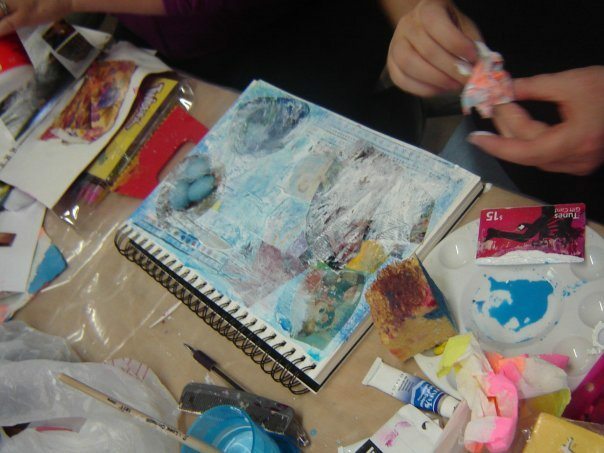 A one day workshop on FEARLESS® Painting and creative freedom. 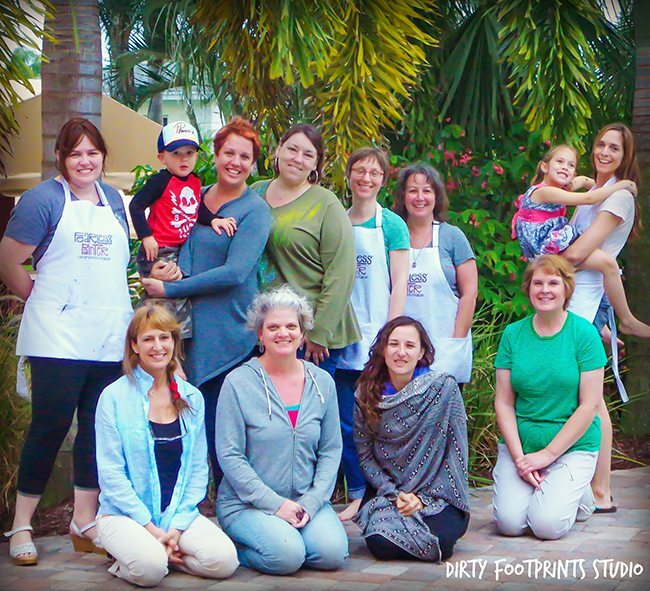 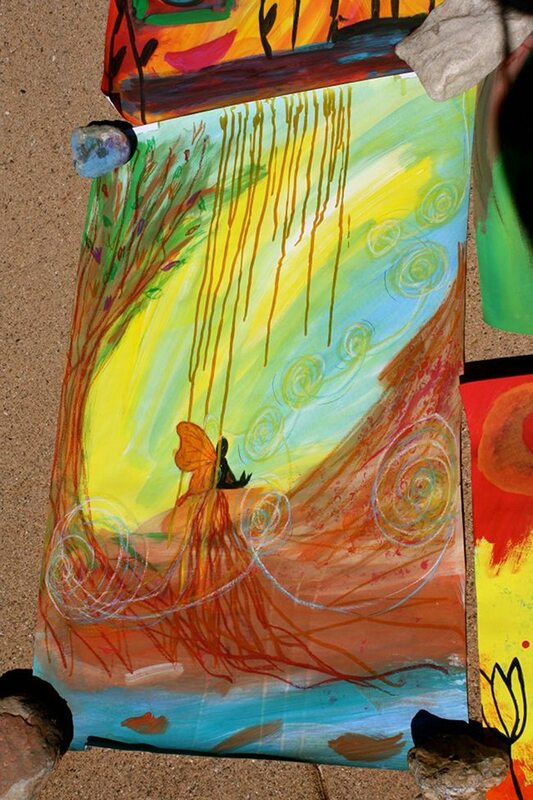 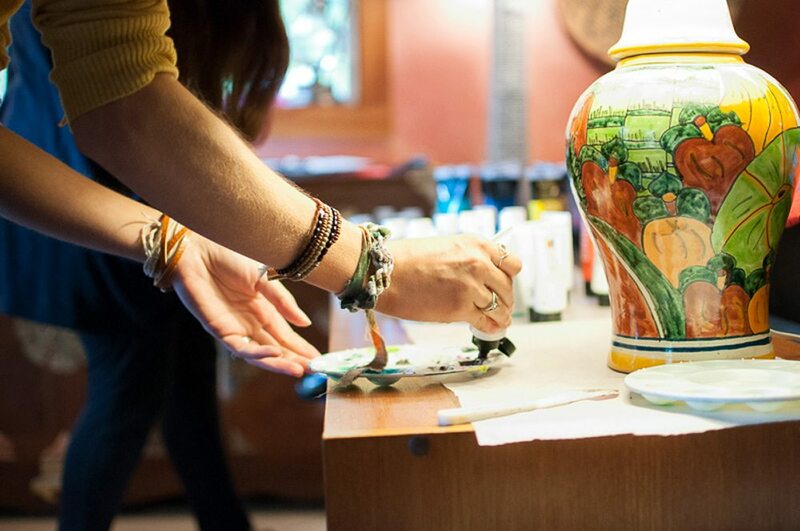 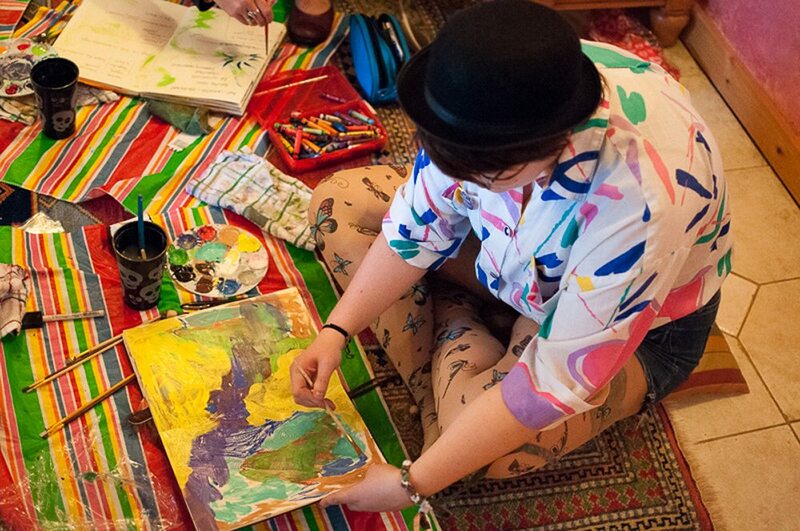 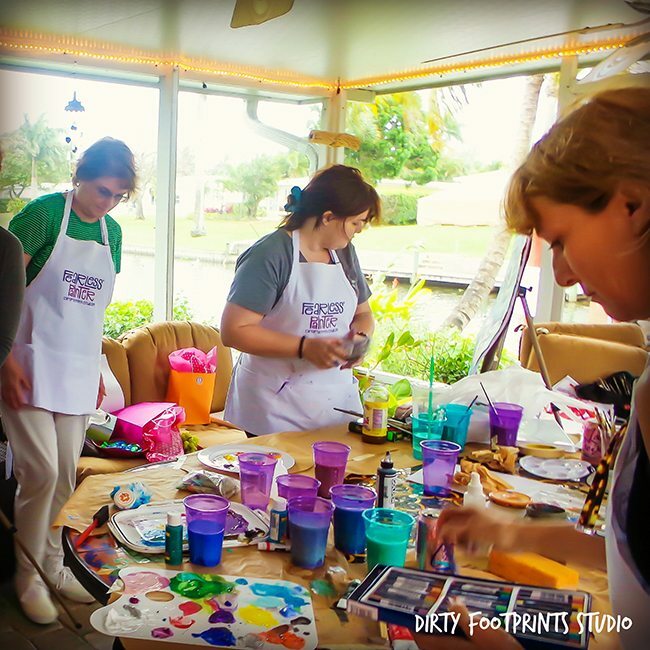 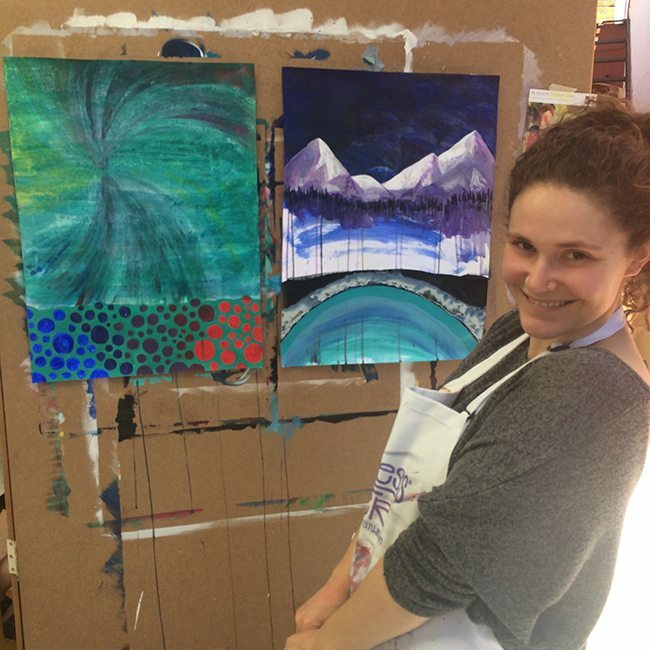 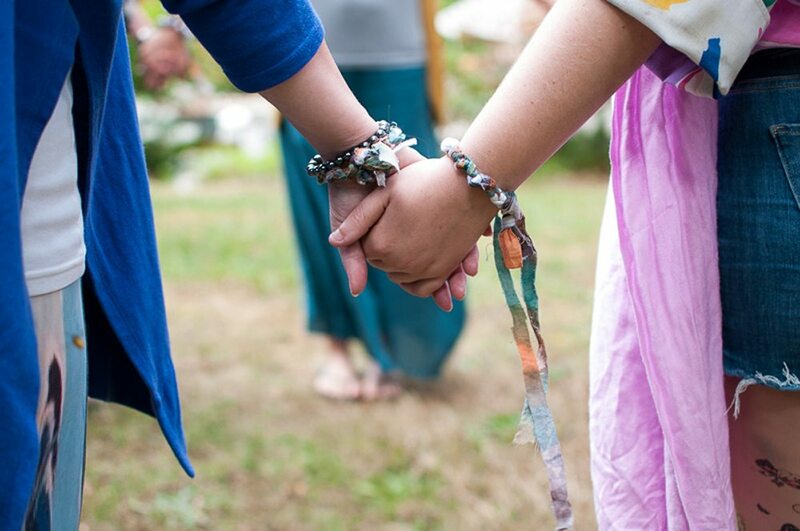 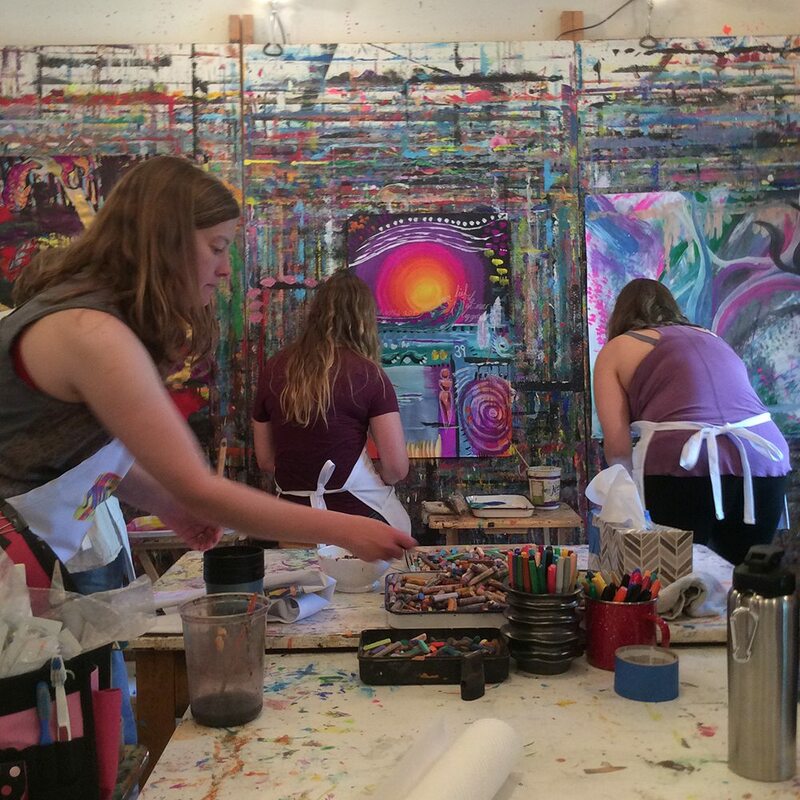 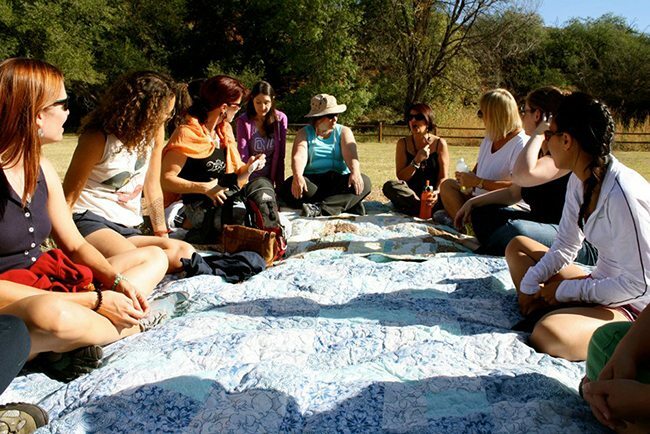 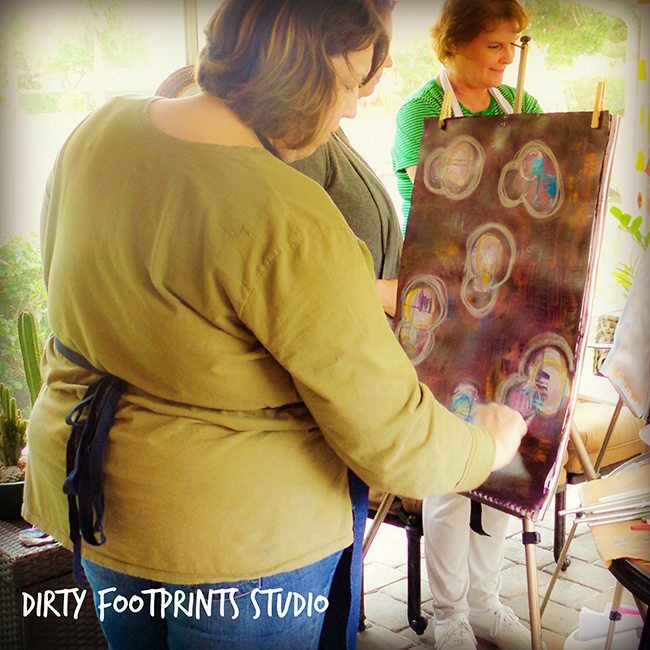 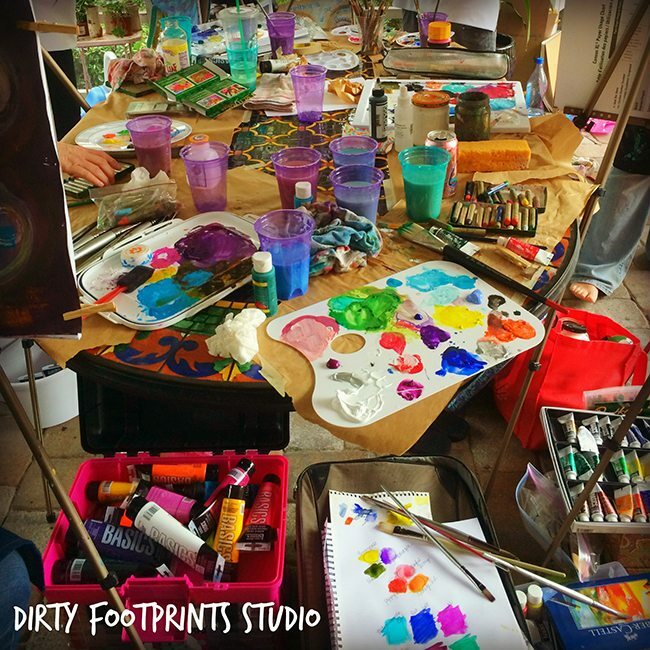 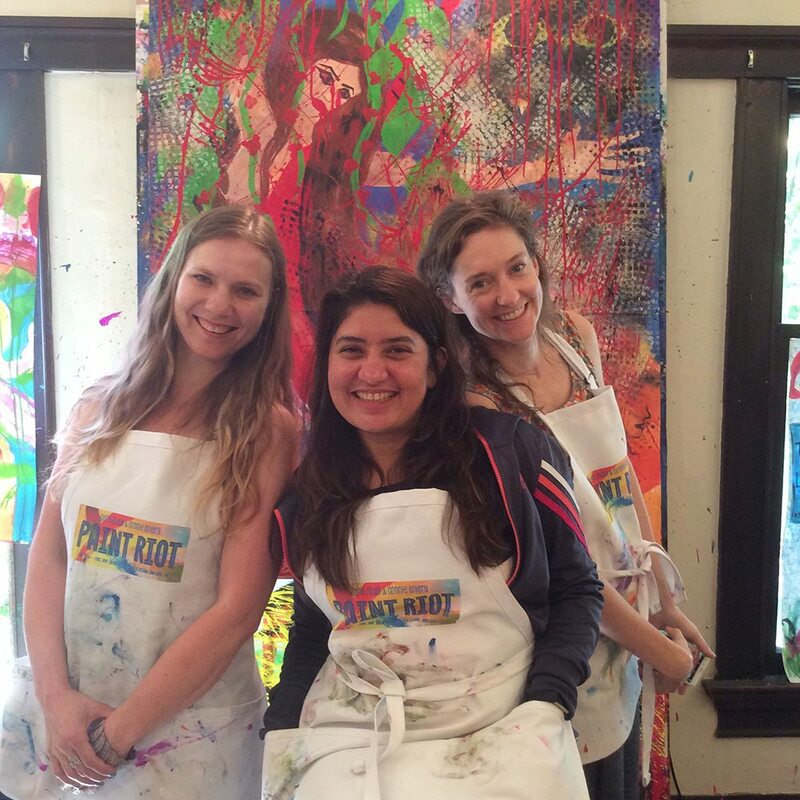 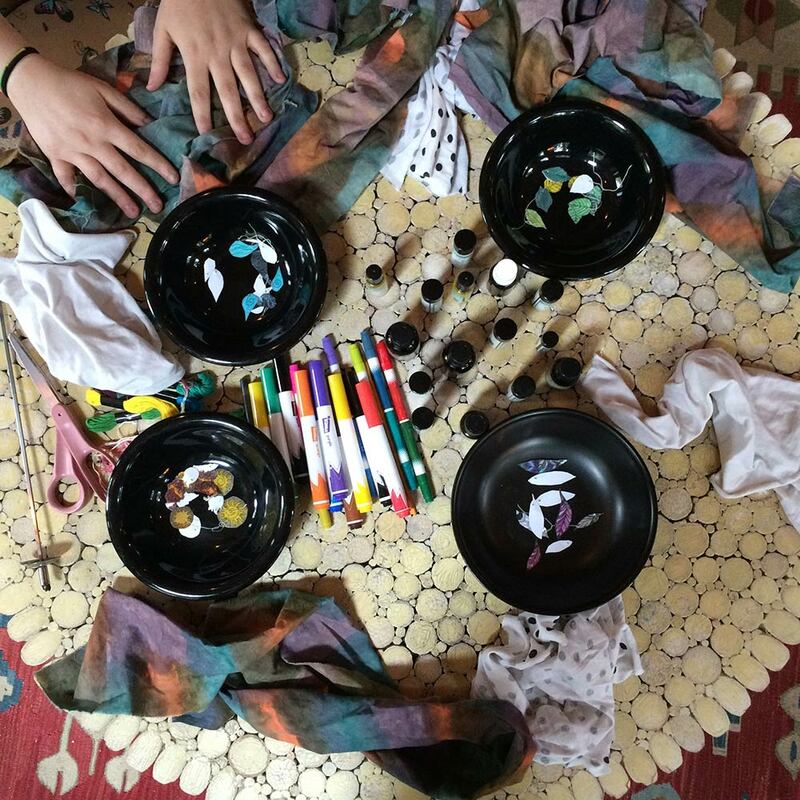 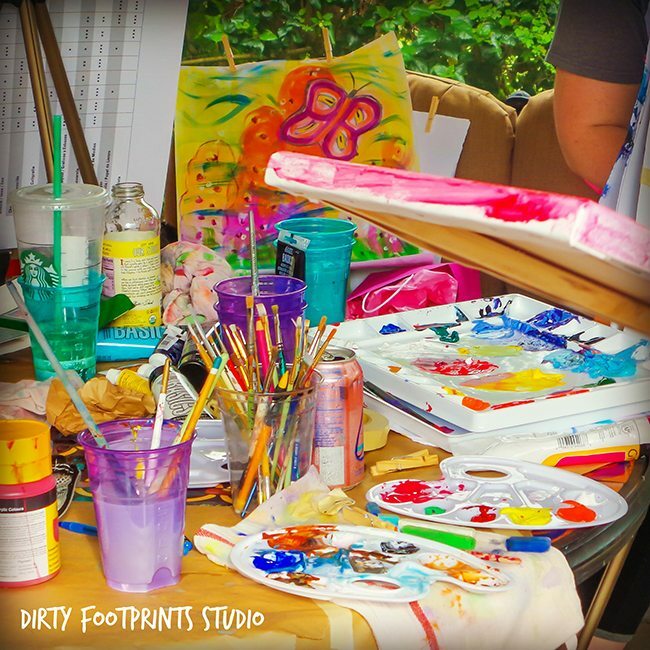 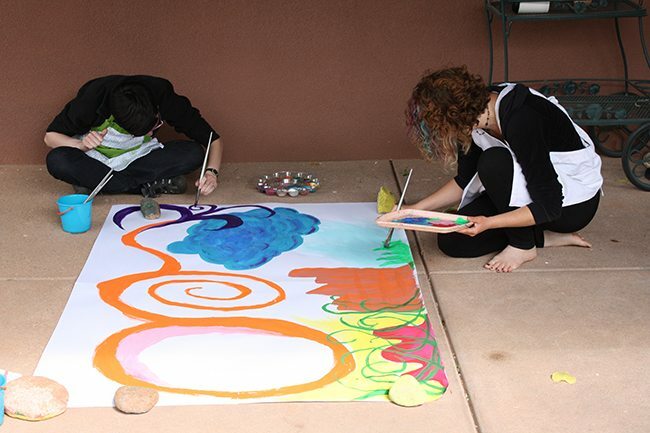 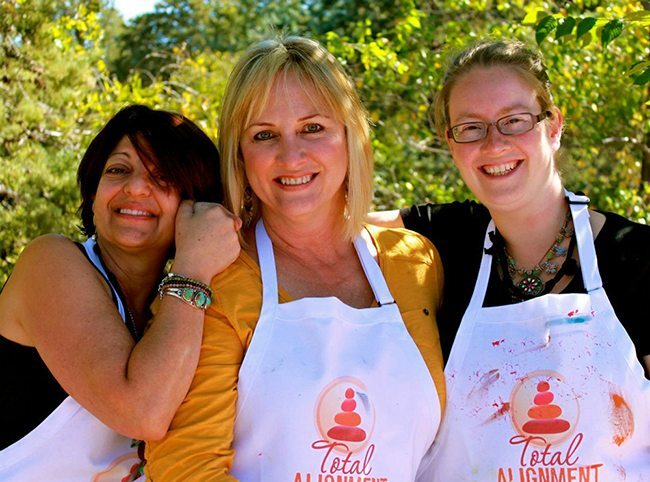 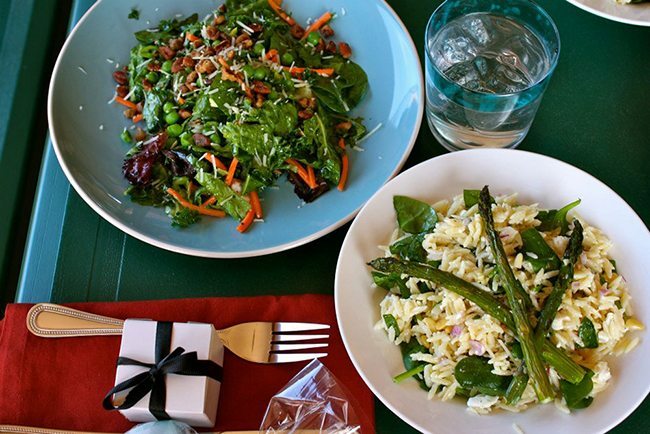 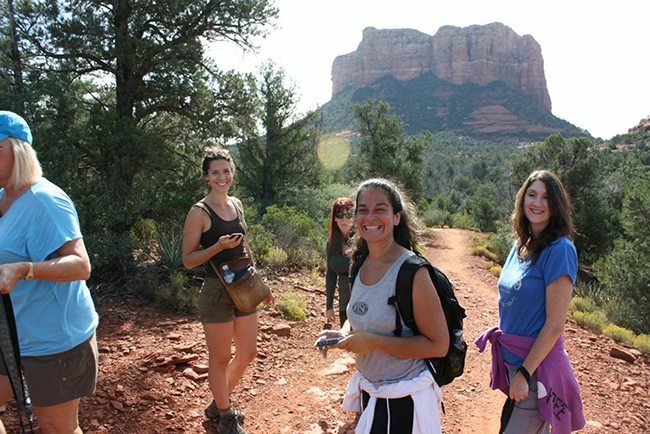 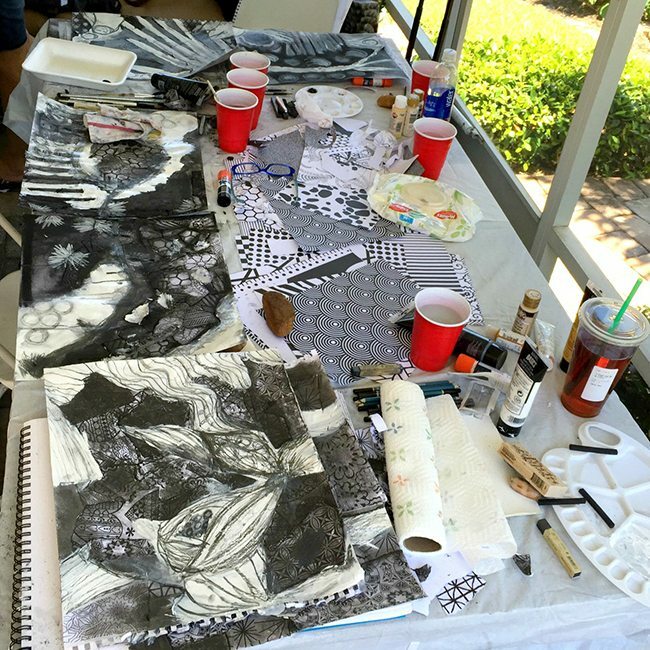 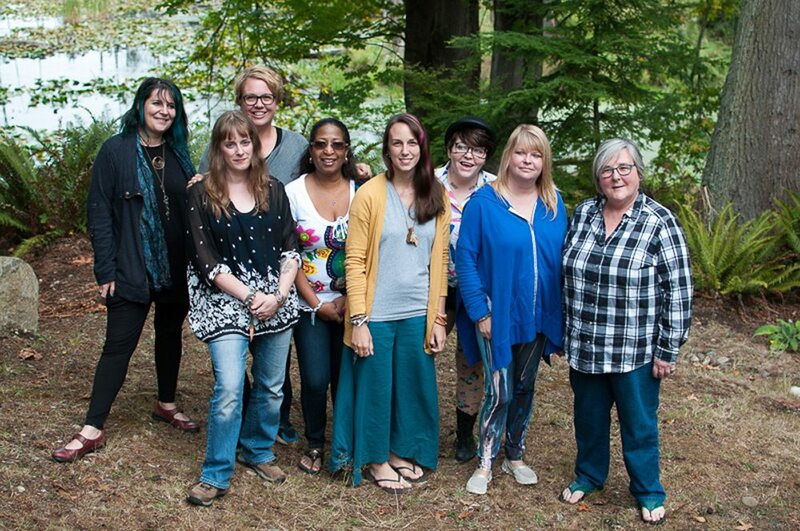 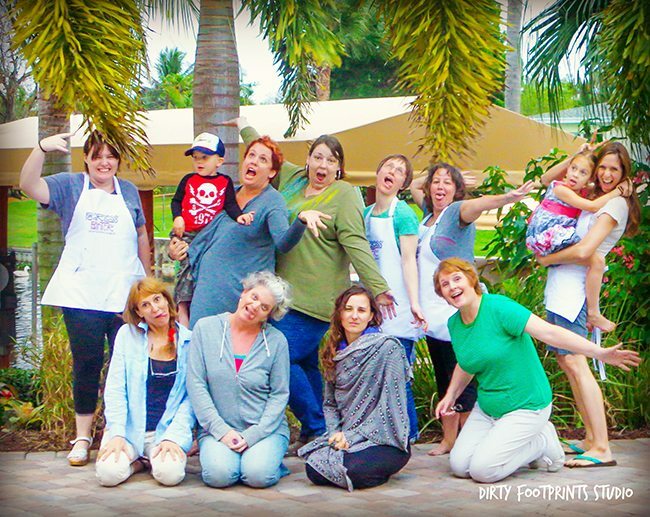 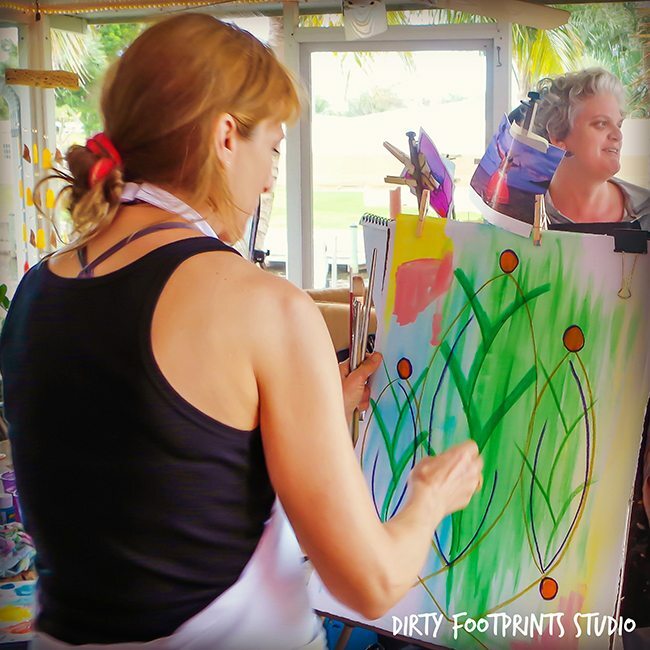 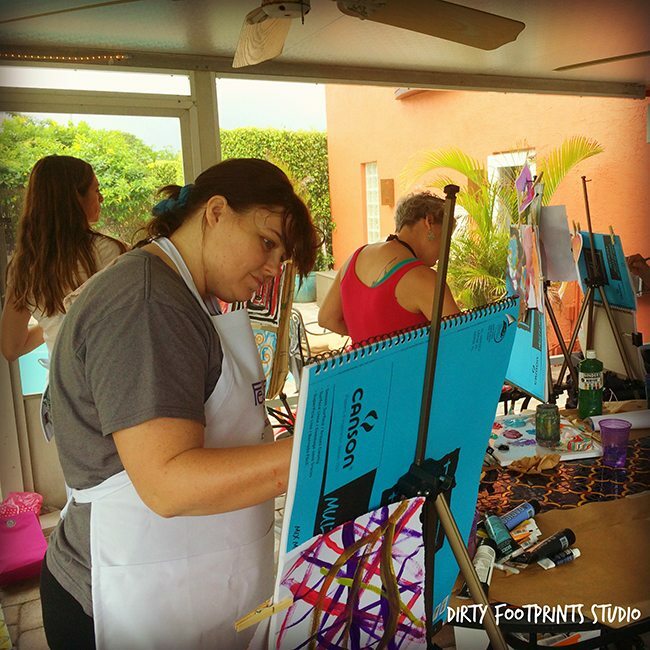 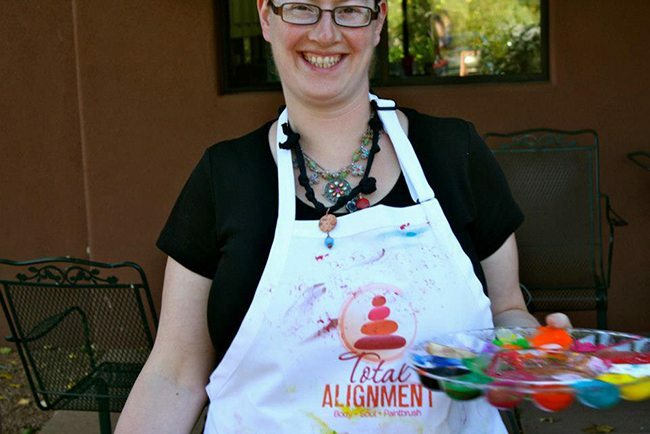 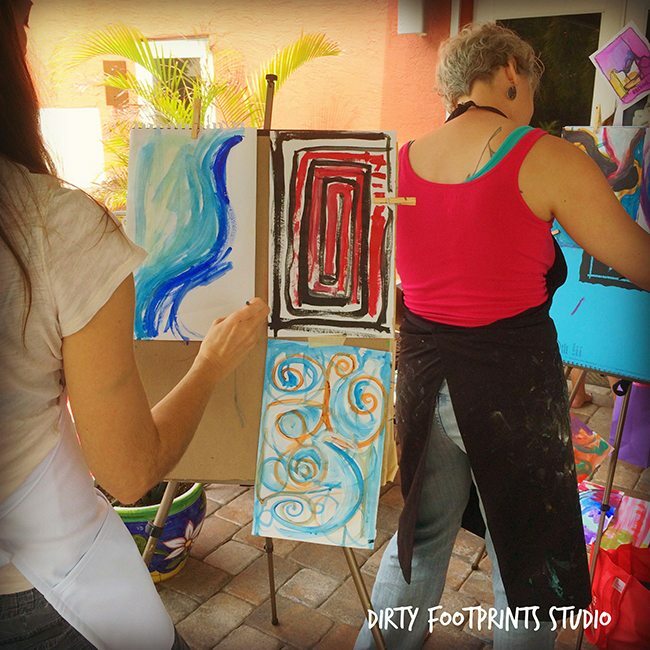 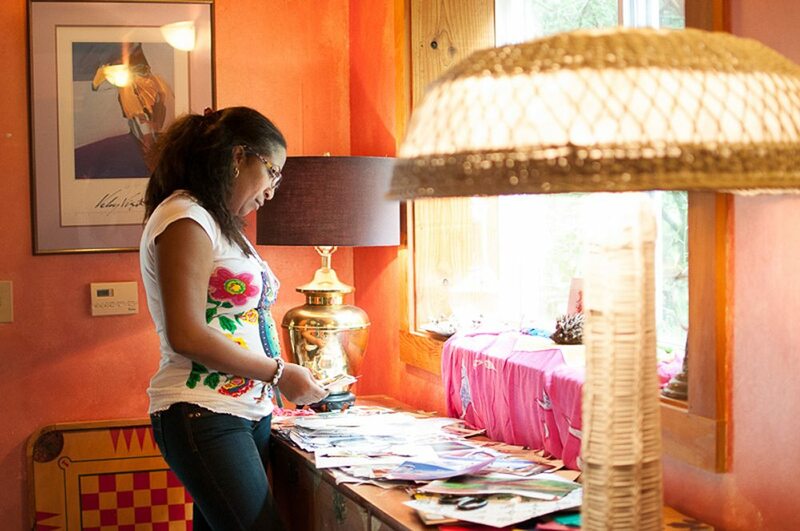 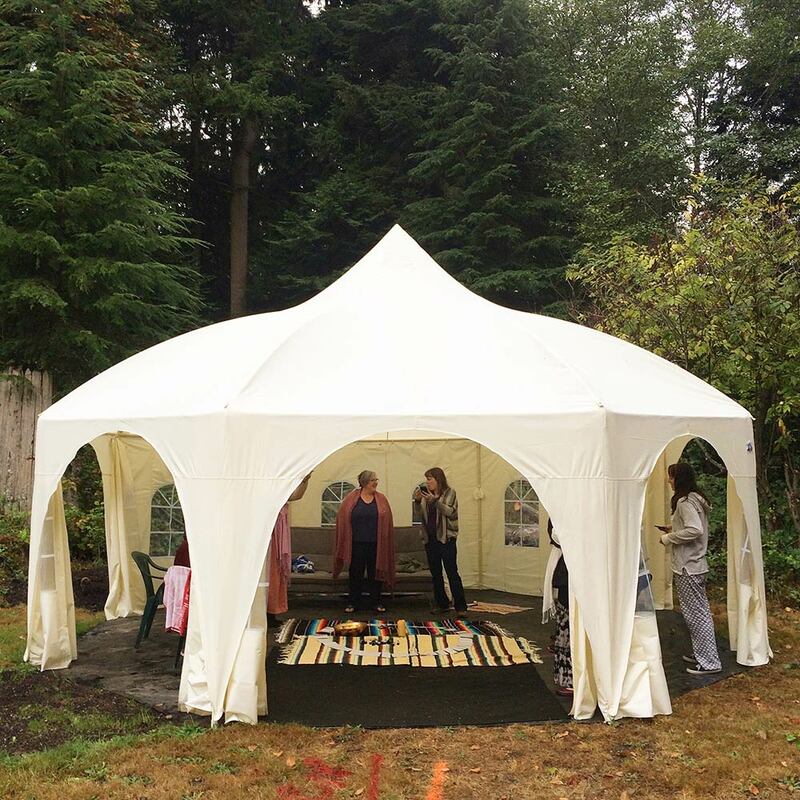 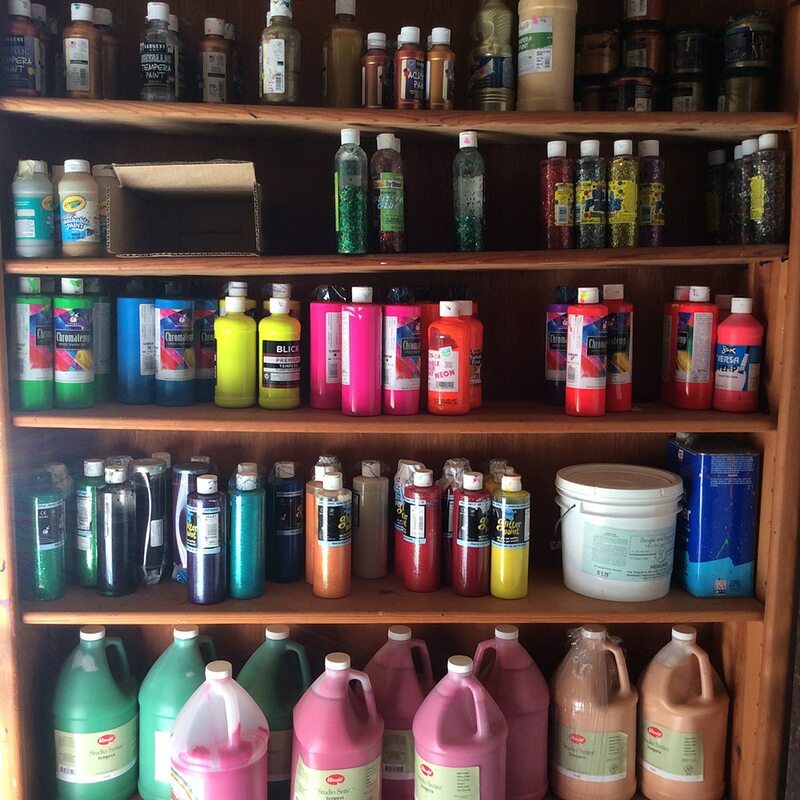 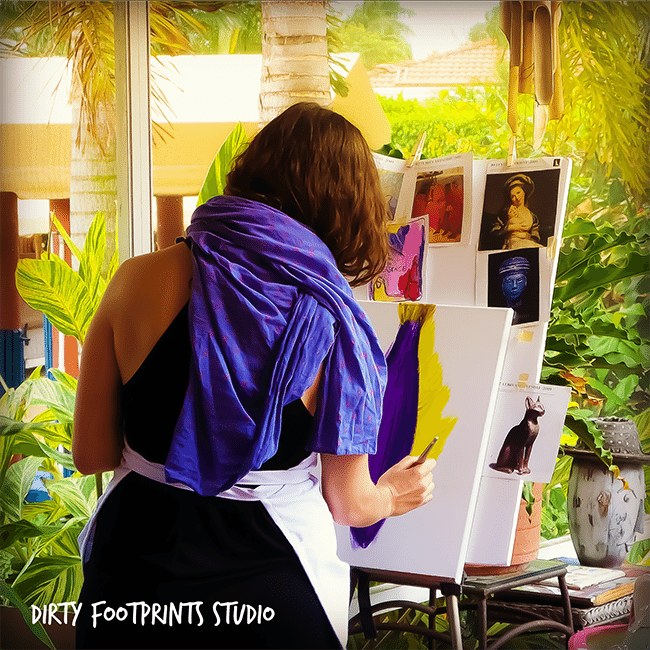 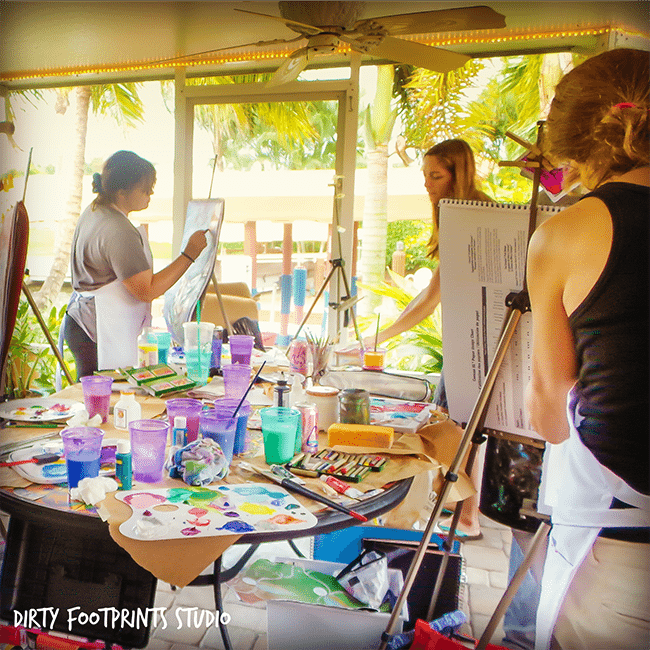 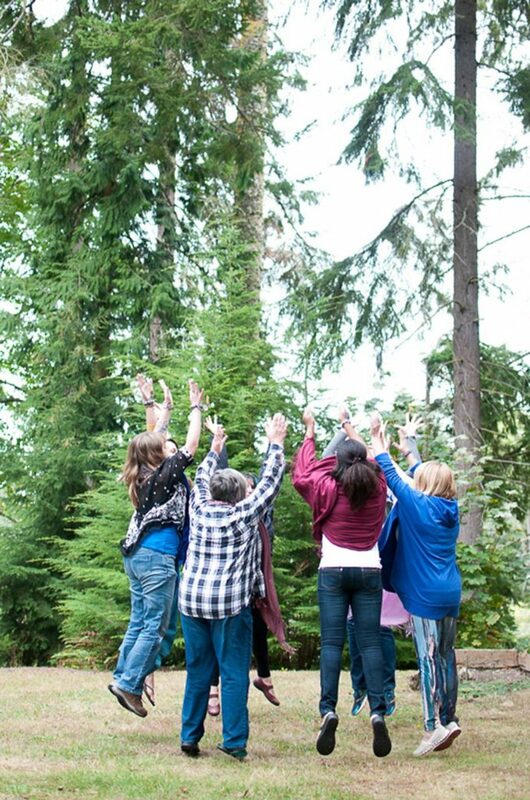 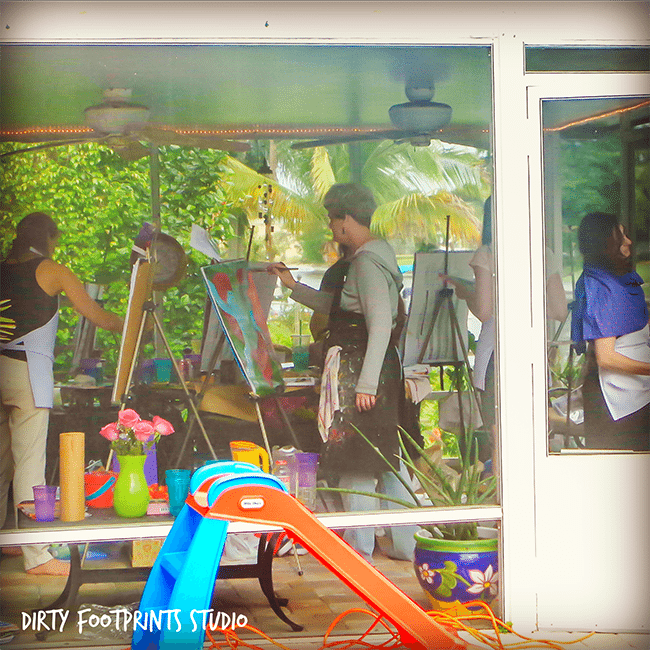 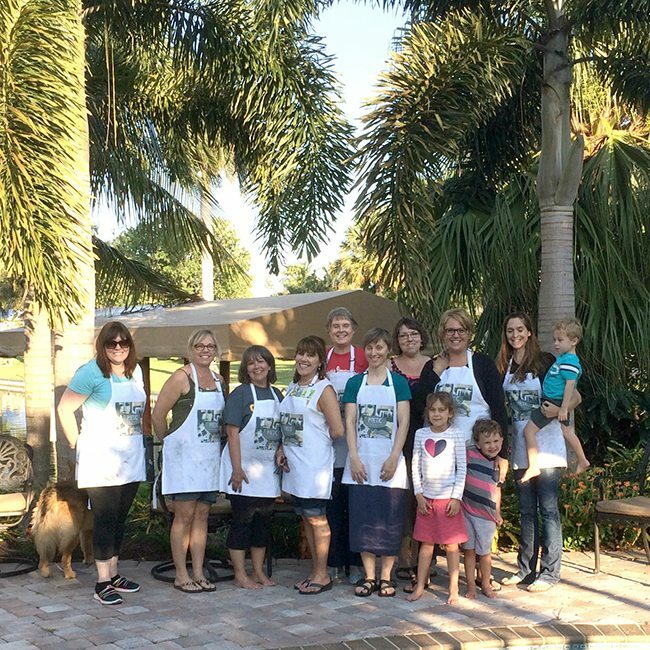 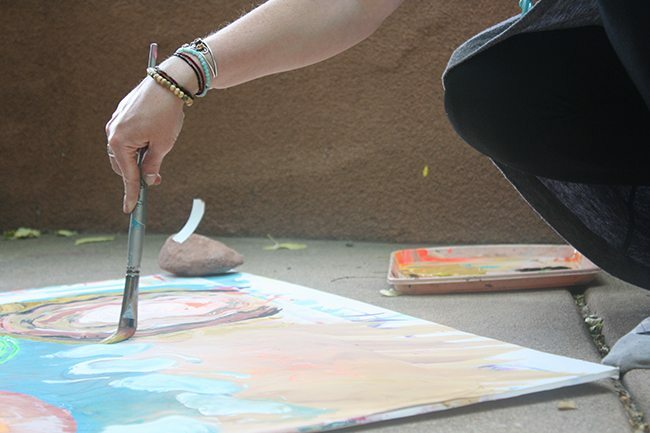 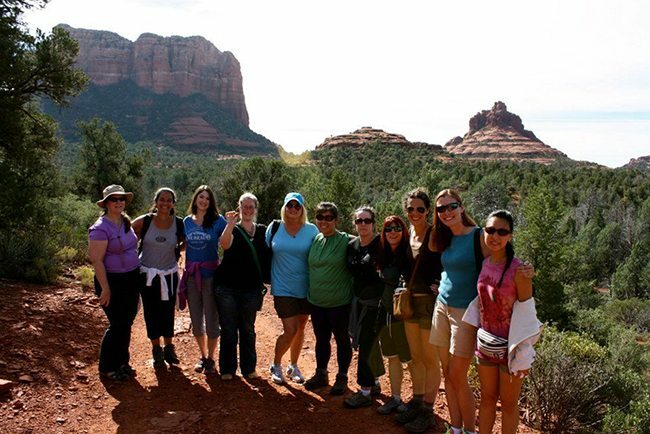 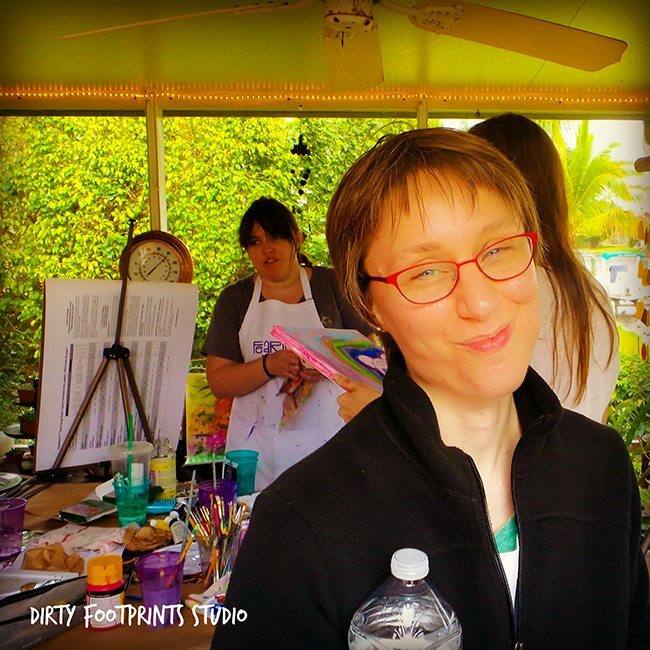 A FEARLESS® Painting retreat where we aligned body, soul, and paintbrush. 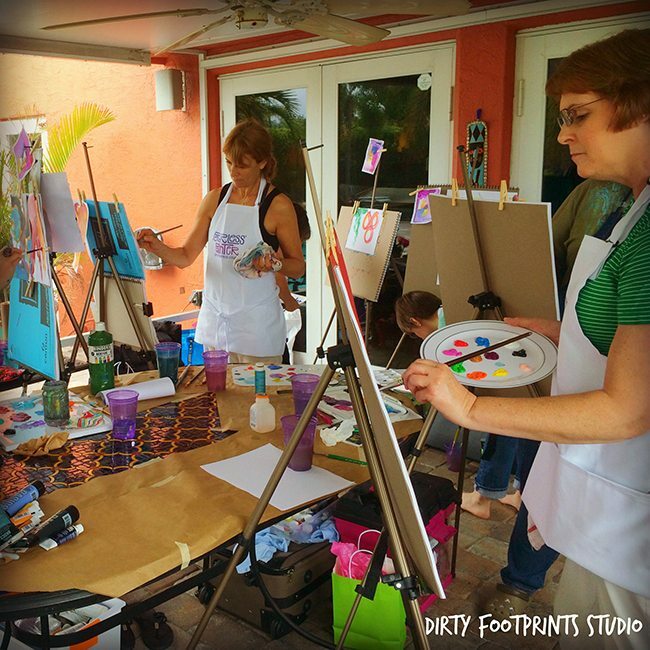 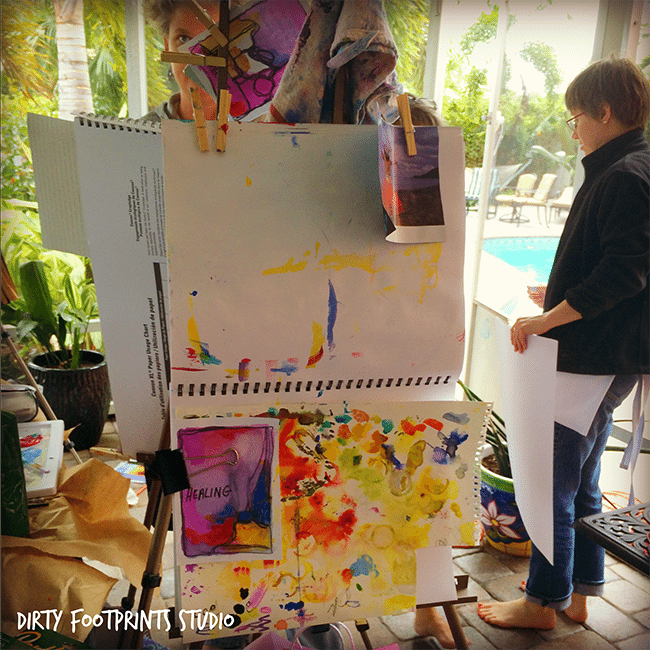 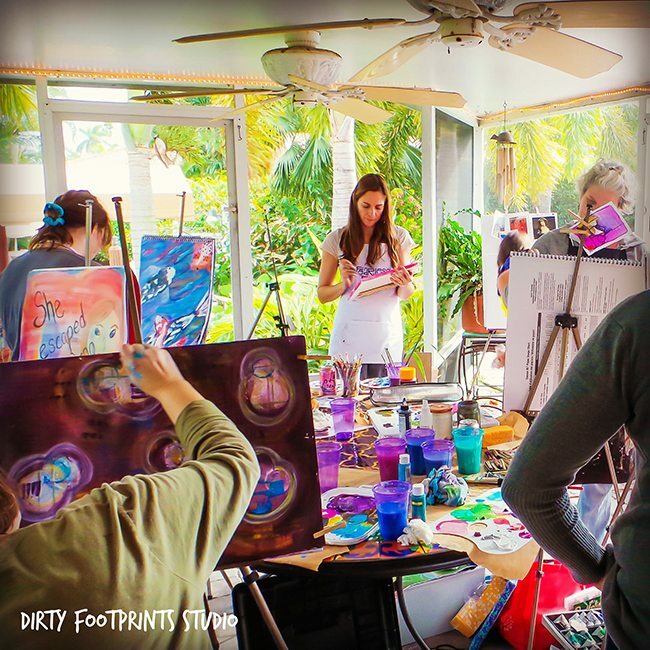 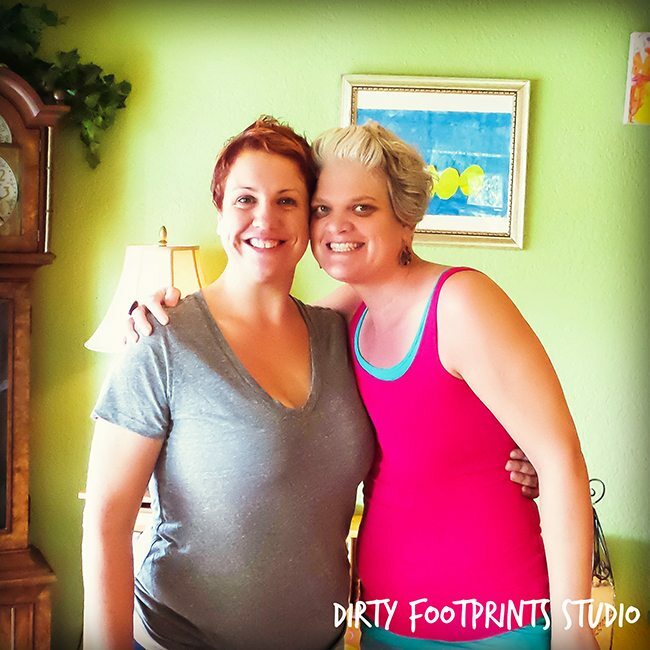 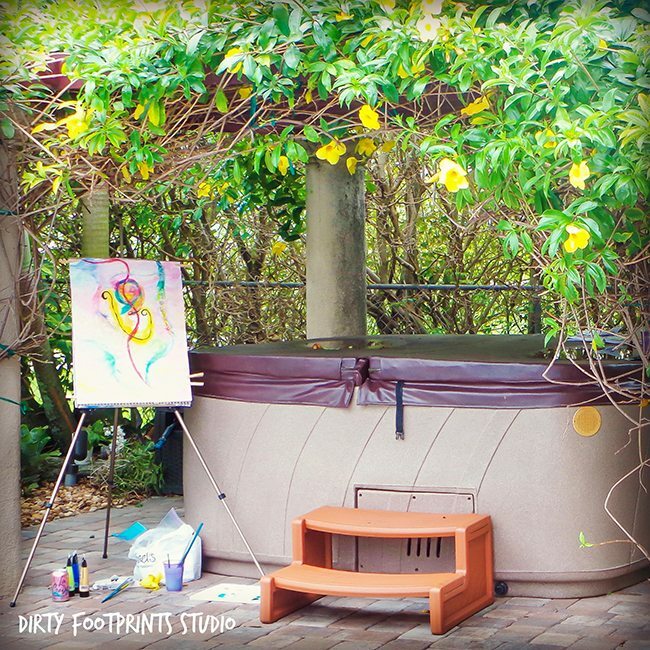 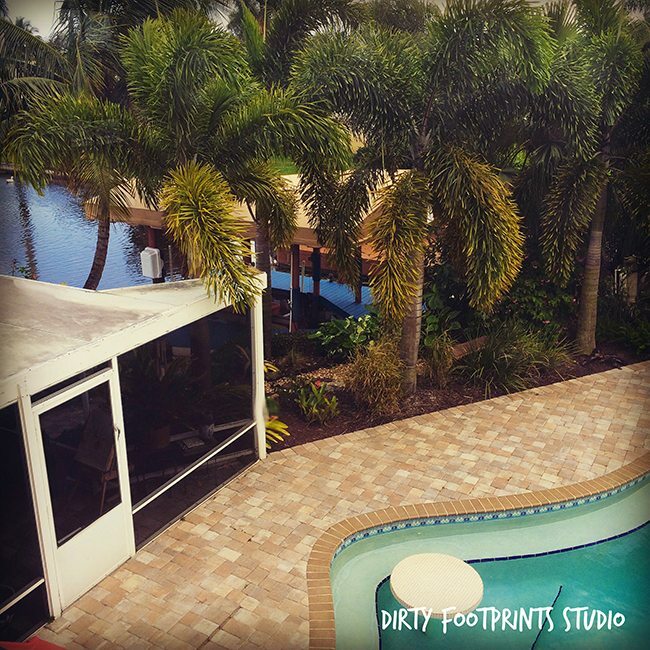 The first Dirty Footprints Studio workshop with special guest teachers: Andrea LeBlond and Christine Claire Reed. 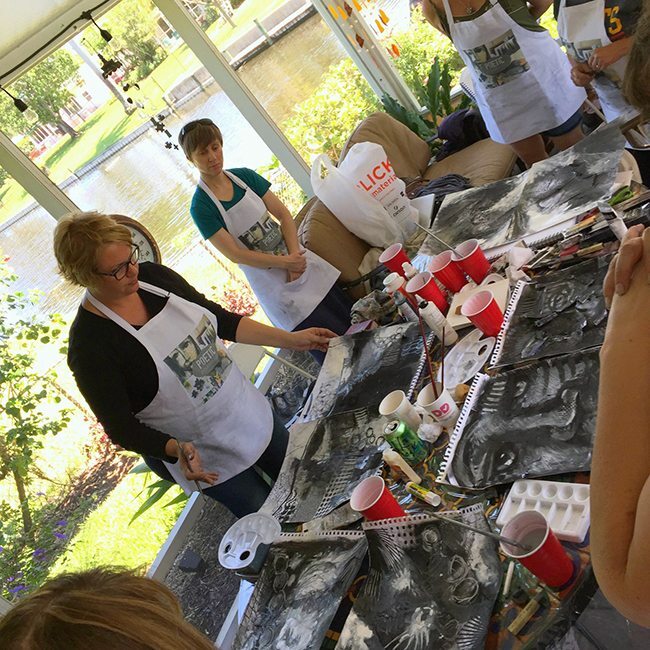 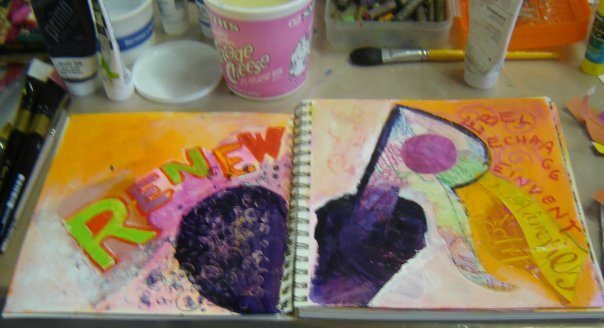 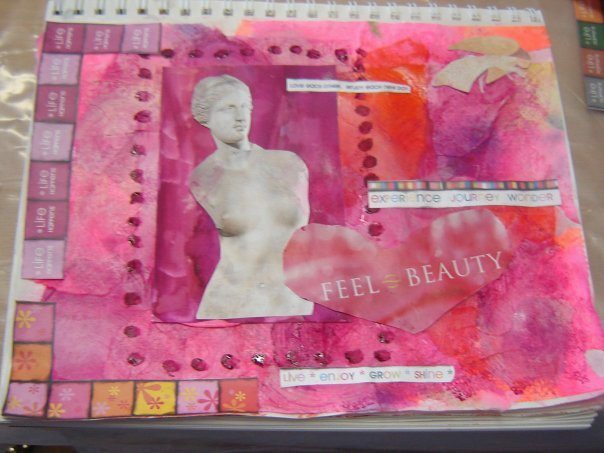 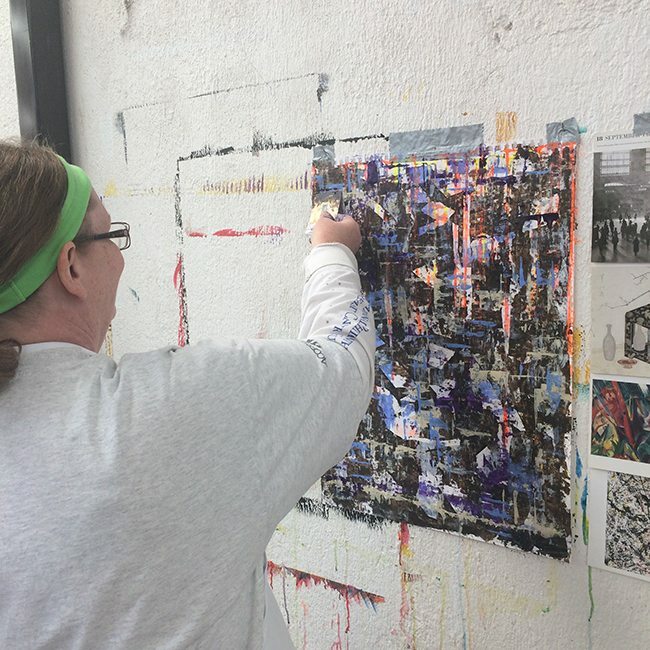 Together we created a multi-media experience that guided each participant through a journey of art journaling (Solera), clay (LeBlond), and writing (Reed).